I don’t know if I was very tired when I watched this, but the ending was a little draggy for me. I can’t pinpoint which part of the episode could have been faster, because I admit that everything mentioned was important and relevant…but it just didn’t end with that tension which I’ve expected from an open ending, or that over the top crazy fangirl-feels expected from the romance. That being said, I still like the finale very much. I love the idea of an open ending! Even if they don’t make Season 2 (I won’t even harbour hopes for that because Kdramas rarely make second seasons with the exact same cast), the storyline is apt for that sort of storytelling – every end brings with it a new set of questions, and new beginnings. 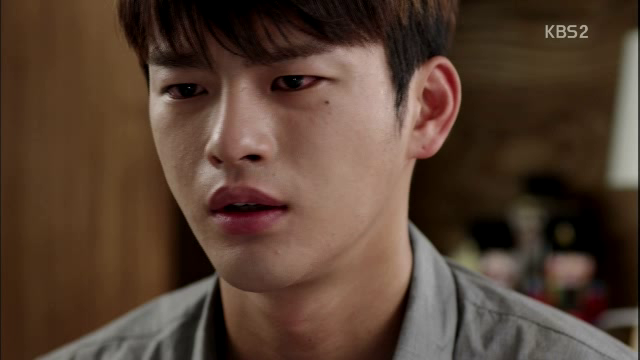 Hyun finally remembers the act which happened when he was young – his mother was killed by a criminal (an act of revenge towards his father, which makes me think – just how many acts of vengeance and revenge did his father trigger??) and he killed the criminal using his dad’s gun. He closed his eyes, fired the gun and fell to the floor from the recoil. Children who witnessed tragedies when they were young sometimes turned into psychopaths. 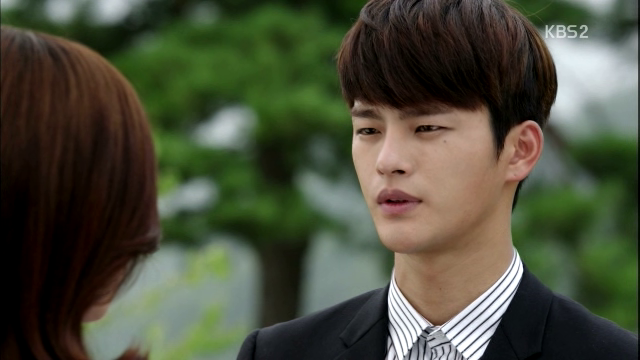 Hyun exhales, “So Min was telling me that it wasn’t because of me…so…so…” He breaks down and Ji Ahn hugs him. 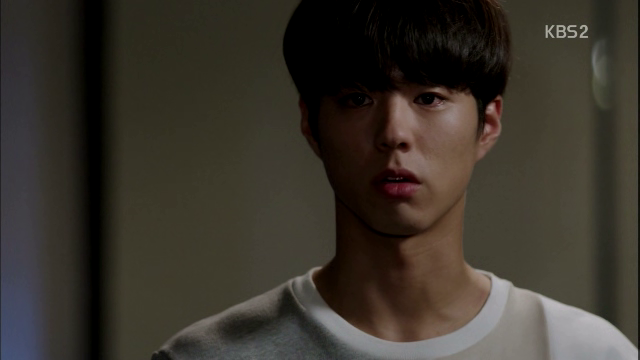 One of my favourite Hyun-breaking-down scenes. That free-fall of tears, that shock, that guilt and that remorse. Min watches from outside the room and sits quietly on the couch. 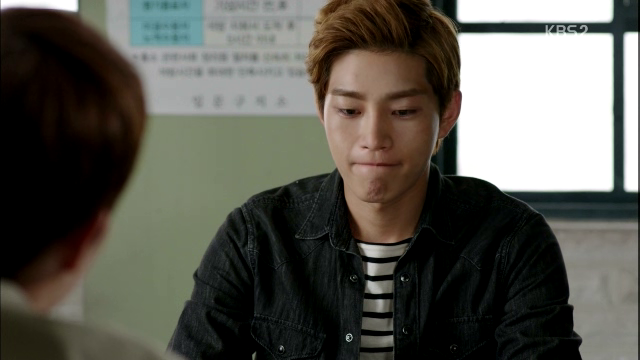 Joon Young ponders out loud to his friend (did I say friend? They have such a strange/unique relationship) why his heart feels ripped every time he sees a child cry. 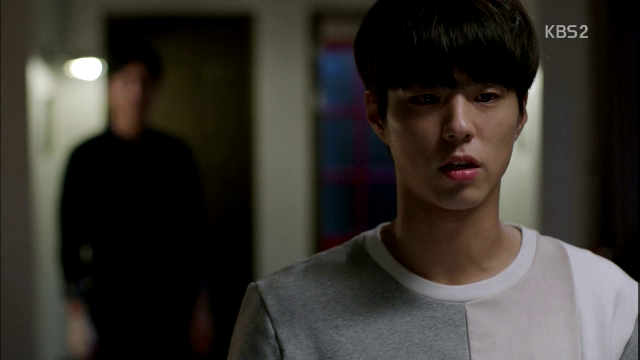 If Min escapes from his crimes, then Hyun has to run with him and hide with him. 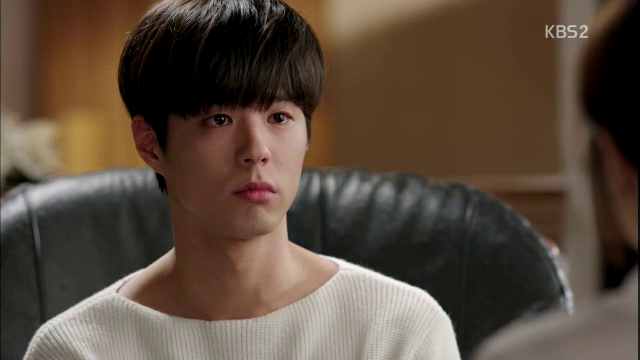 “Having to say this pains me terribly, but if that happens, neither you nor your hyung can be happy.” Min thinks about Joon Young’s happy ending question again. 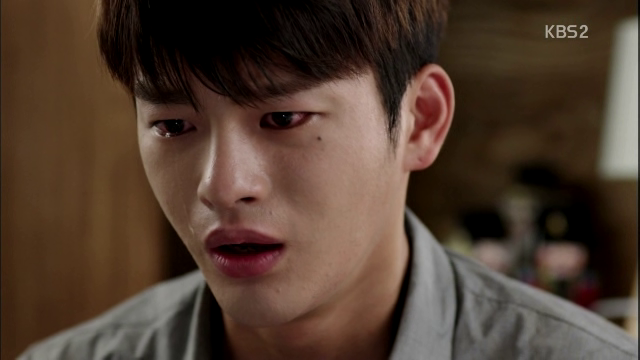 Myung Woo blames himself/themselves for not realising that Eun Bok is one of Joon Young’s children. Back to Min – he explains bewilderedly that he only harmed the bad people and it was in the past, so why do they need to cover and hide? 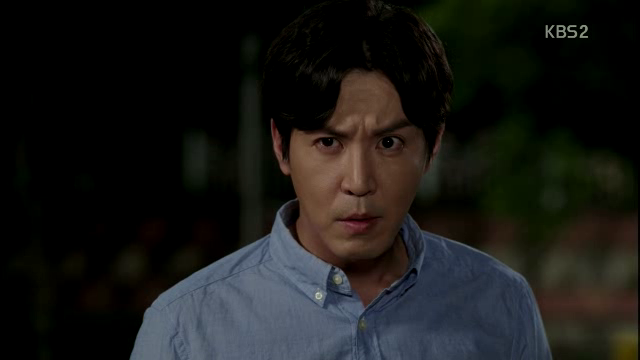 Ji Ahn replies that even without evidence, cases will be continuously investigated (oh really?? 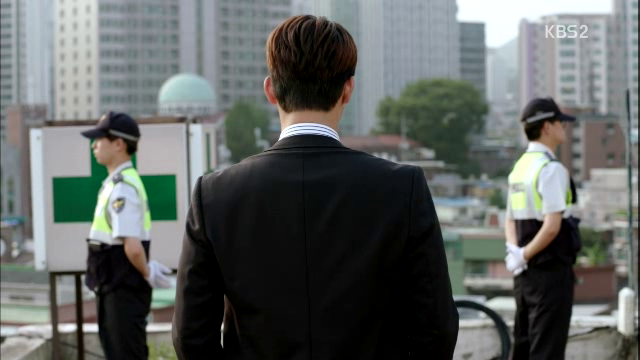 What happened to finding Prosecutor Shin/who killed the guy who injured Min??) 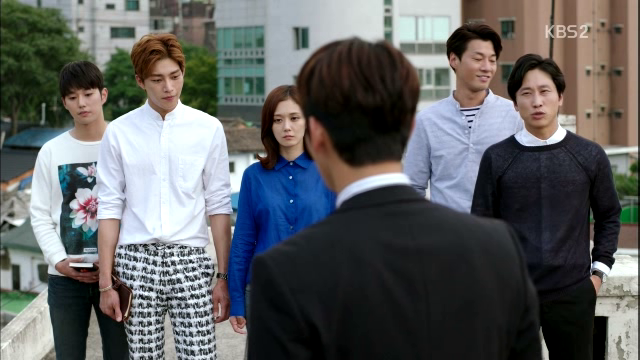 and Hyun will be caught in the middle of it all. 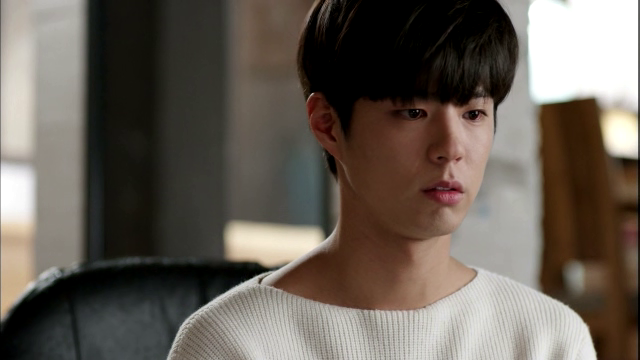 I’m always very impressed when Park Bo Gum gives his bewildered look. He truly doesn’t understand what he did wrong. Also, I think that the inter-cutting of scenes was probably what dragged the episode’s pace down. I felt that the interjection of various scenes is a little messy and unneeded. 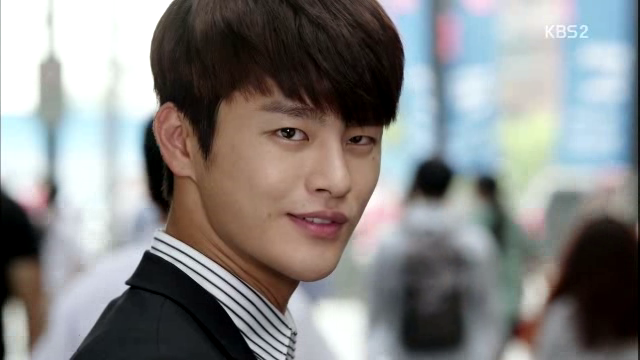 Ji Ahn finds Joon Young. Shall not rant about how reckless I find her. 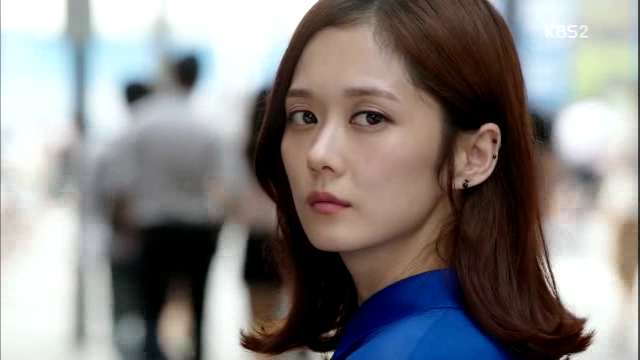 She provokes Joon Young, who tells her that he only got rid of adults who abused their children. 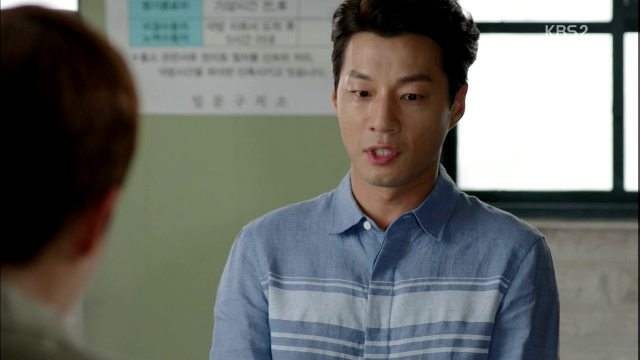 “To prevent a bigger violence, there was a smaller violence.” Ji Ahn is disgusted that he tries to package his deeds as just and reasonable, “I feel like I am going to vomit.” She takes out her gun and announces that she’s going to kill him…but not by shooting. 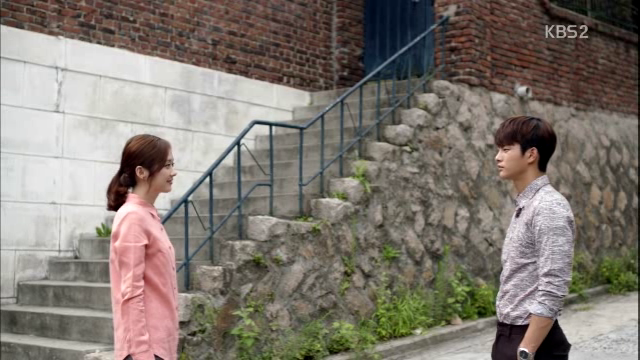 Guys, guys, I don’t know why but it irks me that she feels like vomiting while talking to Joon Young but is so kind to Min. Both of them are almost essentially the same! Double standards?? 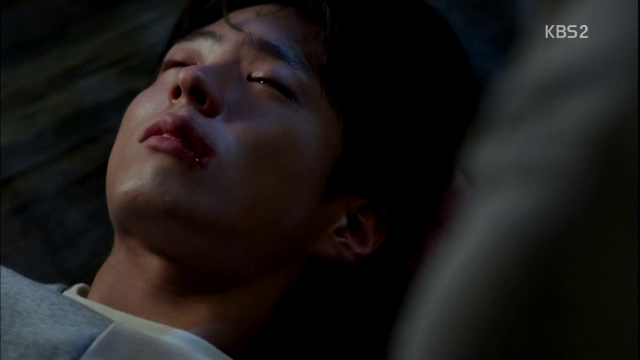 Joon Young laments that he has never wanted to harm her and gets up. 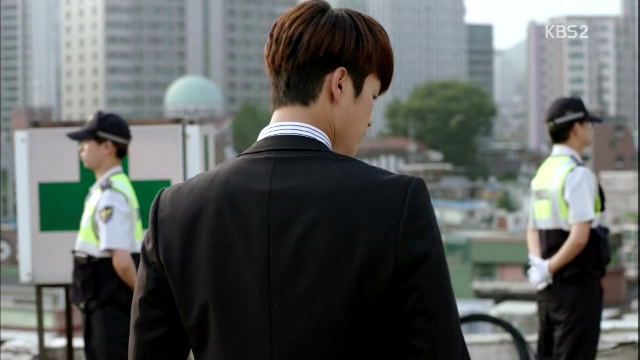 Ji Ahn points her gun and demands for him to stop. 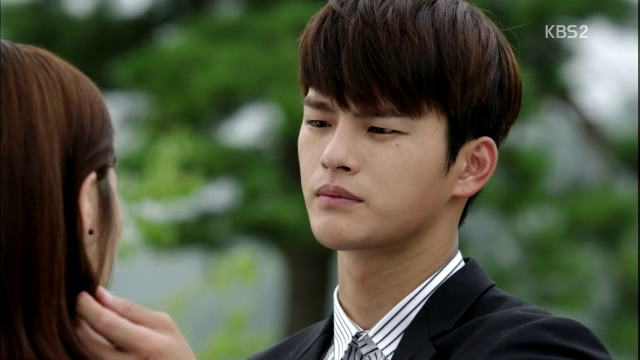 He quickly deflects the gun and finds her phone, which is on recording mode. Ji Ahn tries to retrieve her phone but he holds her by the throat and deletes the recording. 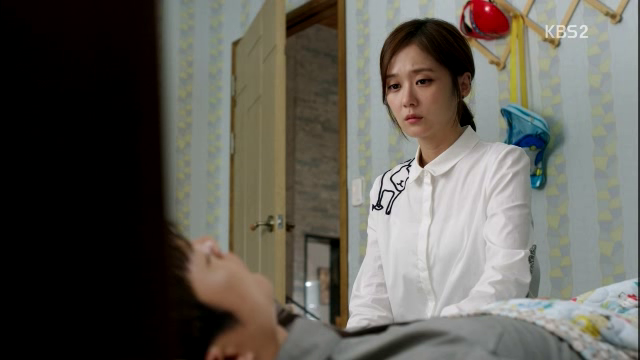 She tells Joon Young to kill her – because if she dies, Hyun and her team will catch him. They will prove that he murdered her. 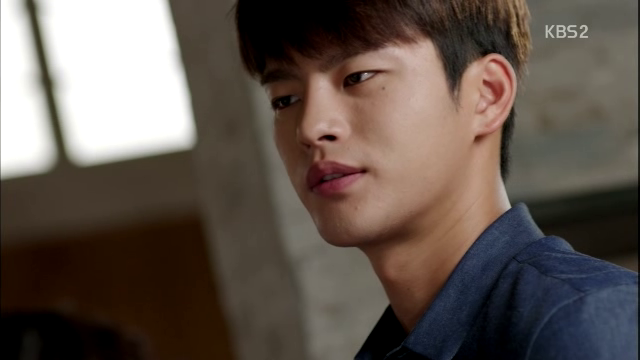 At this point in time, because we can’t have our female lead dying and watching another drama called Hyun’s Revenge, Kang descends and breaks the potential murder. 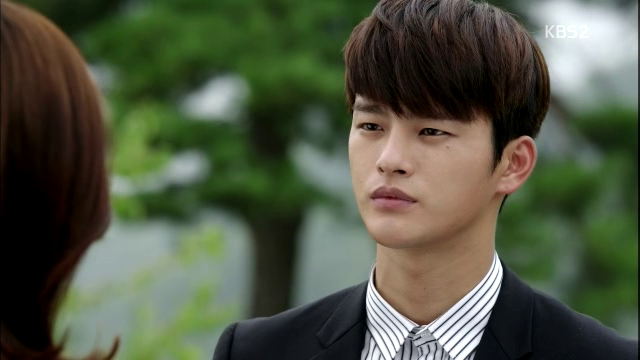 He’s here because he wanted to appeal to Joon Young’s conscience, but realises that’s impossible. 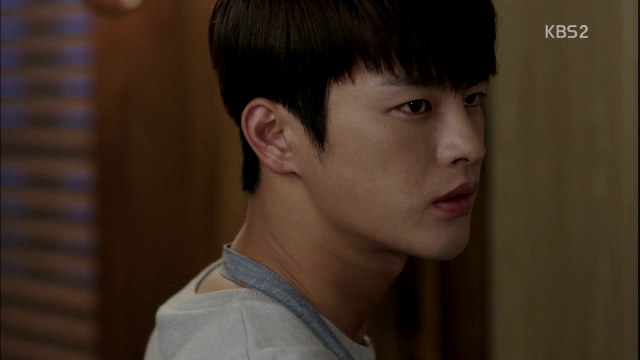 Joon Young comments sadly that everyone sees him as a monster. 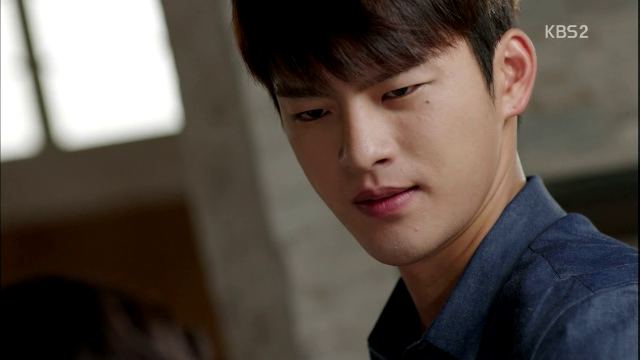 Actually Hyun’s Revenge sounds like a pretty good idea. 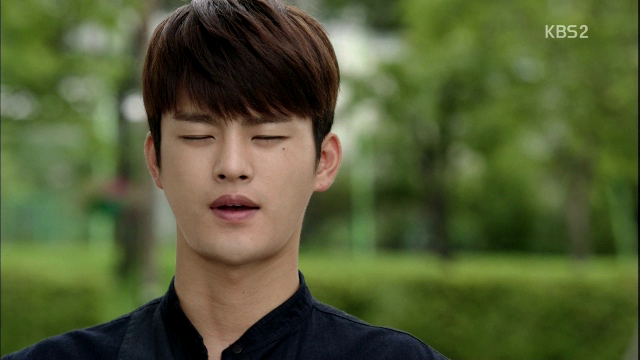 Doesn’t it sound like there will be lots of shirt-tearing and angsty shower scenes? 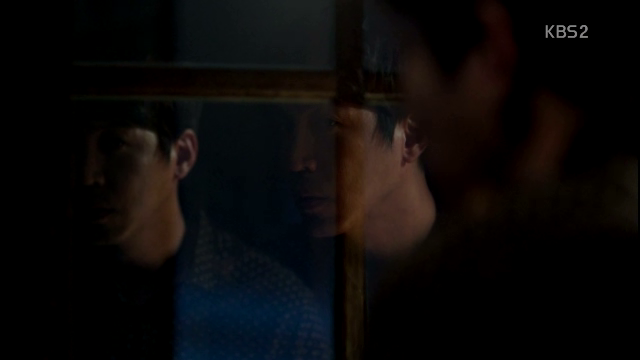 Joon Young looks into the mirror and sees two reflections. He reaches out and scrutinises them. I LOVE THIS SCENE?? 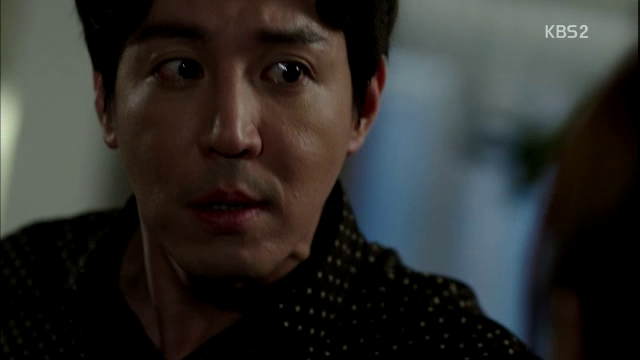 Great acting by Choi Won Young!! 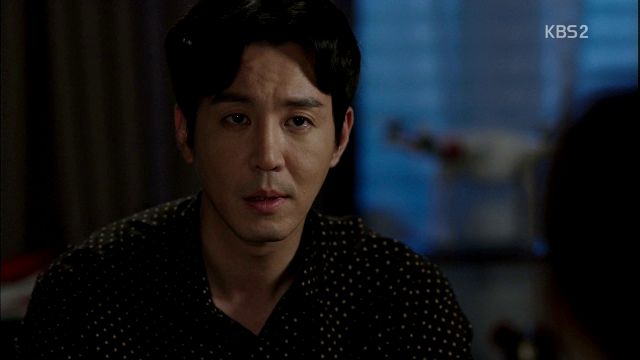 Kang goes through the list of options that he has already thought through to get his father to apologise to Ji Ahn but knows that none of them are viable. 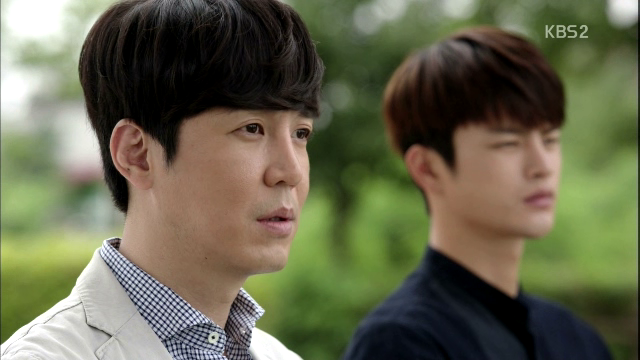 Ji Ahn comforts him that he’s not guilty by association, so it’s okay. 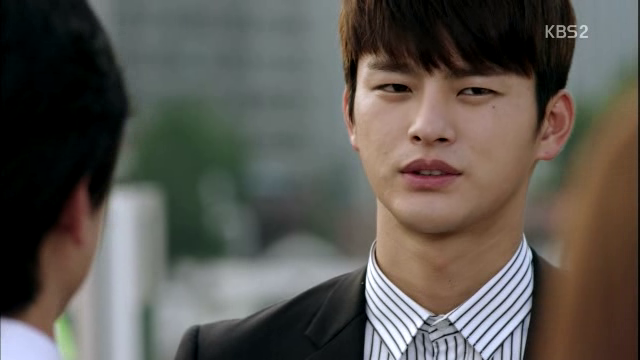 He confesses that he liked her and because he was able to like her, it was great for him too. 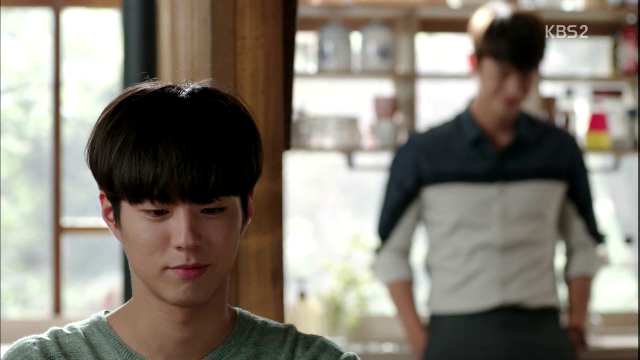 Hyun finally wakes up and wants to cook for Min, but Min has already cooked for the both of them. 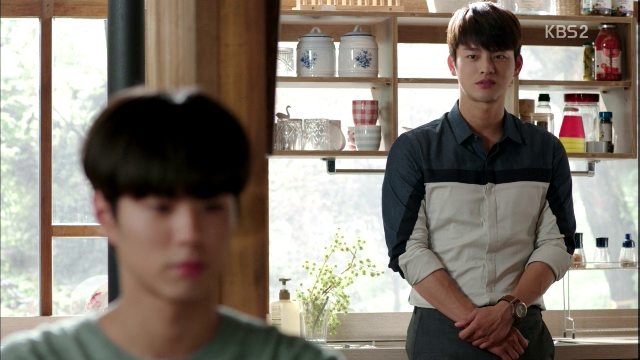 During dinner, Min assures Hyun that what he had done was self-defence, and it wasn’t his fault Min became like that. 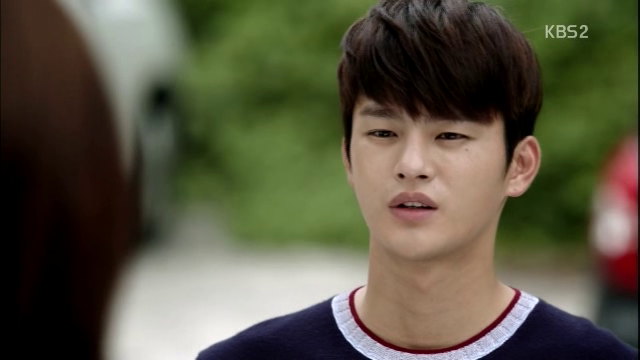 Hyun thanks him but Min thinks of Joon Young’s words and Ji Ahn’s words that his brother is unhappy because of him. 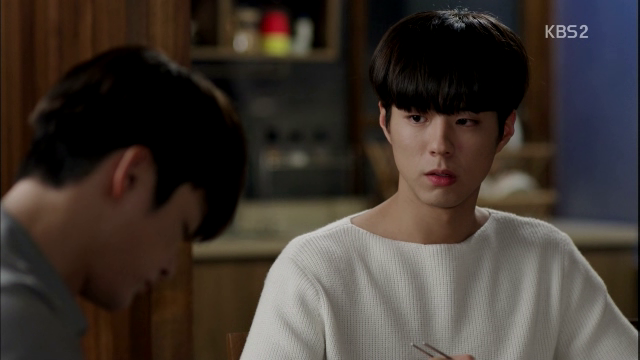 Even though Seung Joo manages to locate two of Joon Young’s children, the adult versions of these children are pretty unhelpful in revealing information on Lee Joon Young. 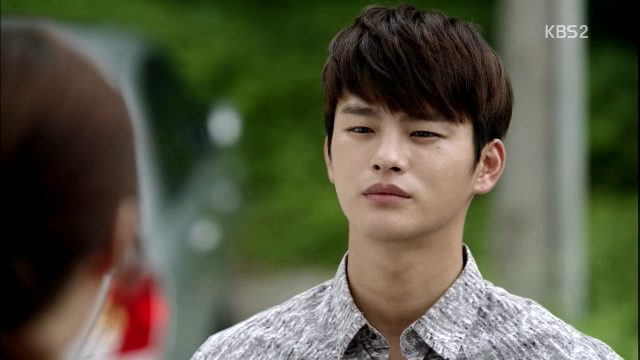 The guy has a change in facial expression when he hears that Joon Ho is the adult version of Lee Joon Young. 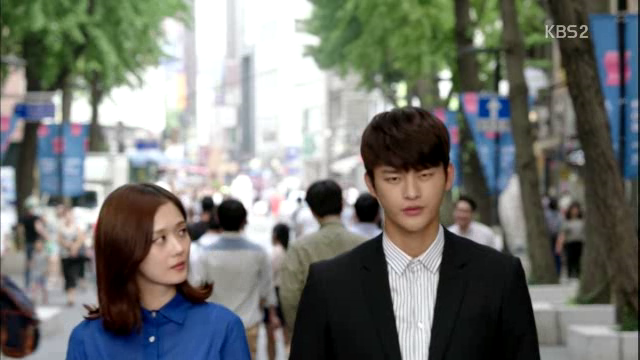 Joon Young comes to Hyun and suggests running away together – Min, him and Hyun. 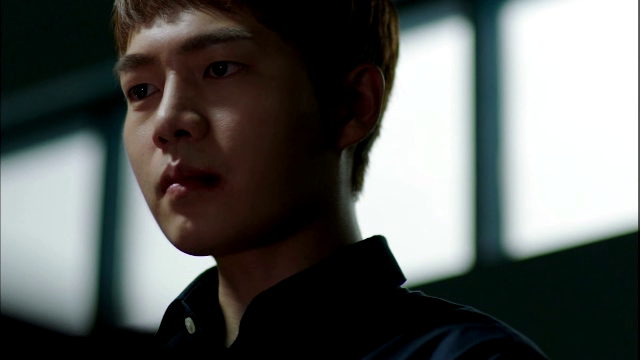 Hyun will not catch him because he will then have to catch Min, and if he remains behind, he will suffer. Min happens to come home and overhears this conversation. Hyun moves towards Joon Young and verifies for himself once again that Joon Young doesn’t have a pulse on the right side of his neck. 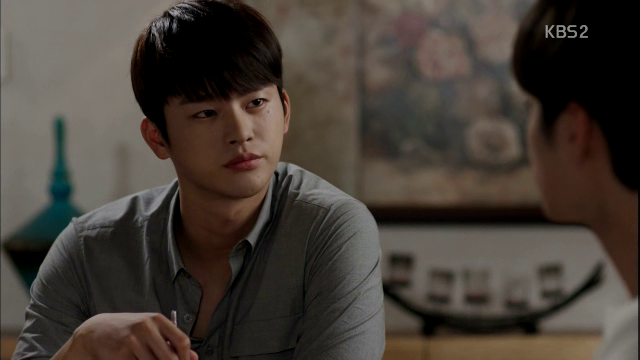 Min waits for Joon Young in his house and thinks through the two options – if he runs with Joon Young, he will separate from his brother and be lied to for the rest of his life. If he stays with his brother, there won’t be a happy ending either. We all know what he’s thinking, don’t we? 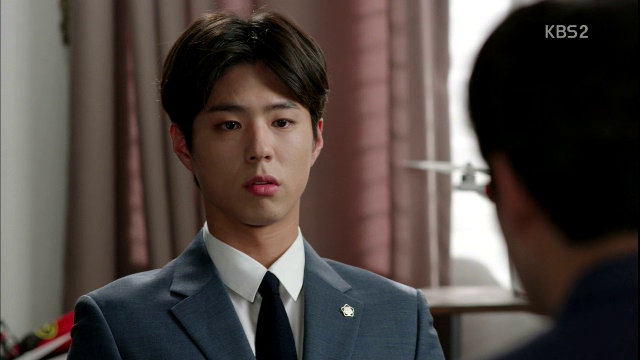 Chief Officer grumbles at the lousy way the team dealt with the publicity that Eun Bok killed the Planning Officer – indicating that he doesn’t really think that he has done anything wrong pertaining to Ji Ahn’s dad. 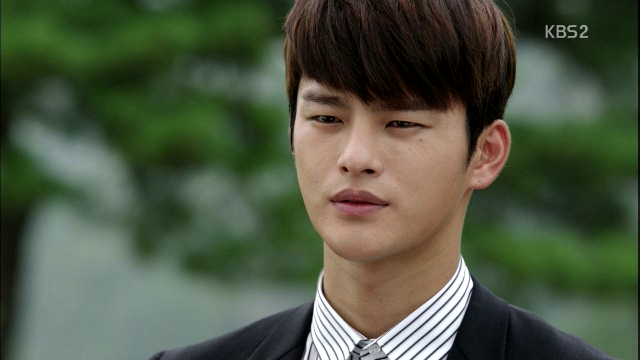 Kang tells him that he will fight for the team to stay together, and retorts that the Chief Officer isn’t acting like an adult. Avoiding one’s wrongs is only what a child does. An adult takes responsibility. 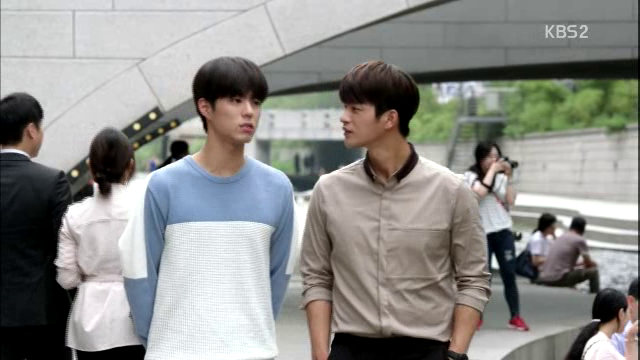 Hyun guesses that Eun Bok will probably tell the truth soon, because…we then see Seung Joo calling Eun Bok, “Hyung”, Myung Woo apologising for not knowing, Kang apologising as the Team Leader and Ji Ahn offering to buy him lots of food. Okay I think with regards to Eun Bok, I can understand the team’s reactions. 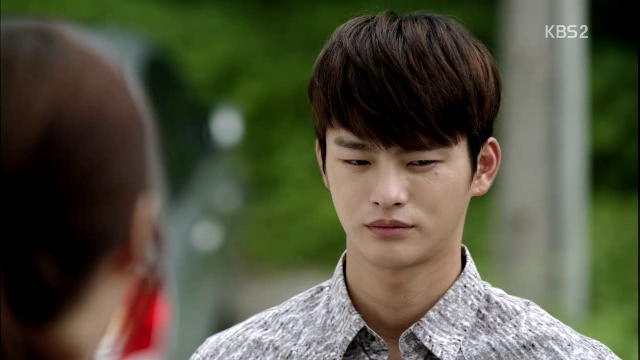 They see Eun Bok as a victim of Joon Young’s upbringing and brain-washing. 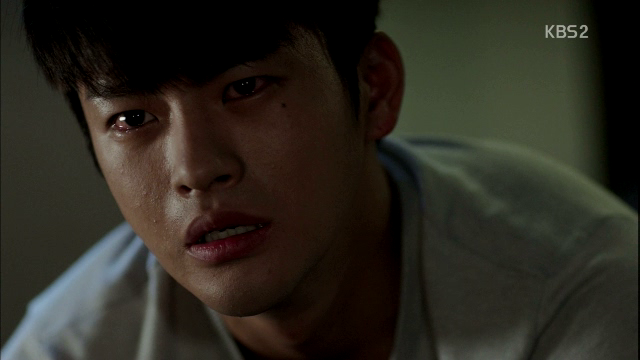 As a victim of his childhood such that he thinks Joon Young is his saviour. 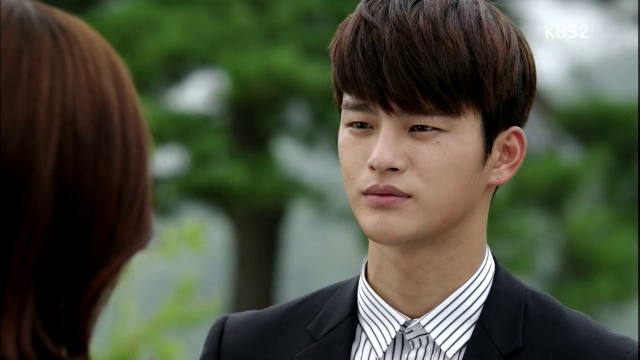 Therefore, even when Eun Bok has committed a murder, they do not abandon him and they try to appeal to his good side. 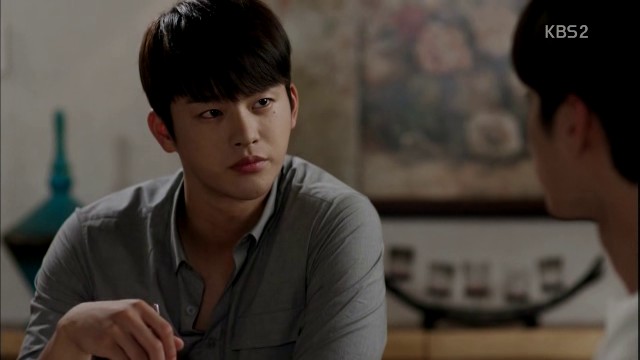 It’s questionable whether Min is more similar to Joon Young or Eun Bok. 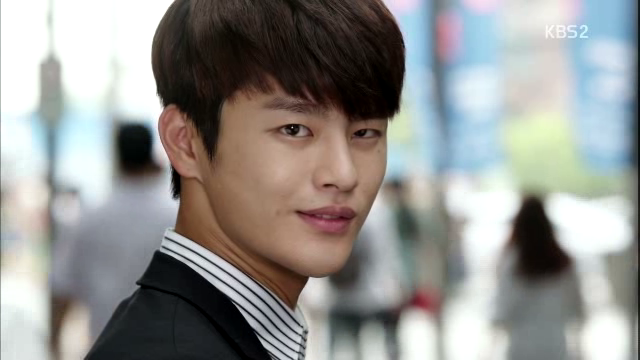 Is he a product of Joon Young’s upbringing, and therefore a victim? Or did he actively choose to follow his own twisted beliefs? 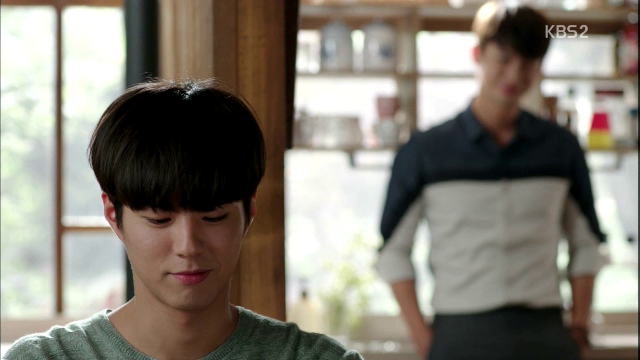 “Well, we could do everything.” Min smiles, and Hyun smiles in the background. FAVOURITE SCENE TOO. And also resembles one of those Noble Idiots scenes where the girl goes on a last date with the guy before disappearing forever, except this scene is 100x better and not idiotic at all. 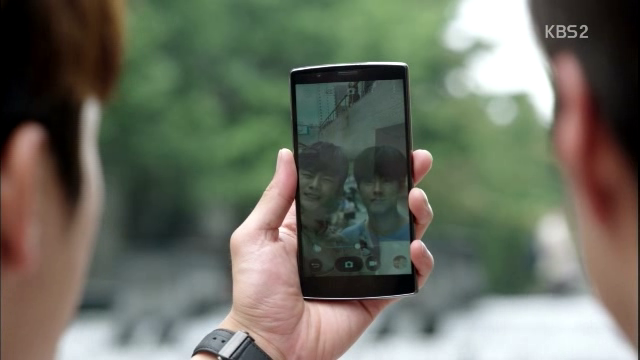 The brothers stroll along the river and Hyun notices a couple taking a selfie. 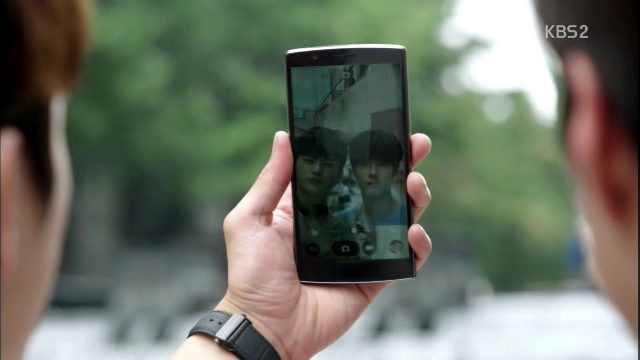 He proposes taking a selfie but notes that he, like Min, doesn’t like to take photos. But Min replies that if he wants to take, then they should take it. 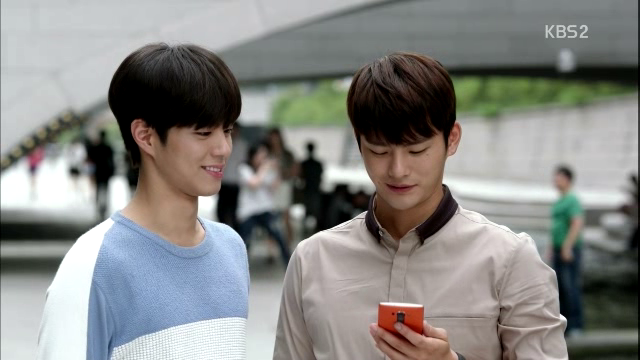 Hyun smiles and takes out his phone. The first photo? Yeah I would think so HAHAH you guys are SO CUTE. Second pic wins the Best Awkward Smile award. The duo laughs/smiles at this picture and takes wonderful selfies after that. Best Looking Brothers Award for you two!! I mean, look at this again! 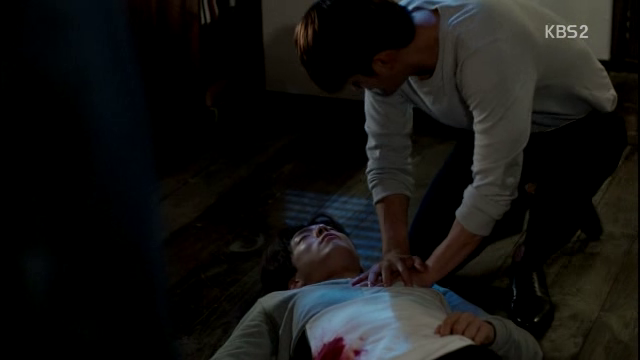 Joon Young gets stabbed by Guy Adult twice because Joon Young killed his parents. Even if they were bad parents, it was better than not having them. 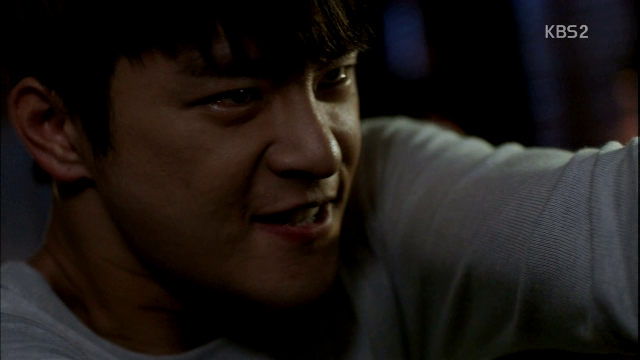 Joon Young pushes the guy off and has his scary, psychopathic look on, which scares him away. However, instead of taking the knife and going on a mad rampage, Joon Young limbs home, maybe because this is one of his children. 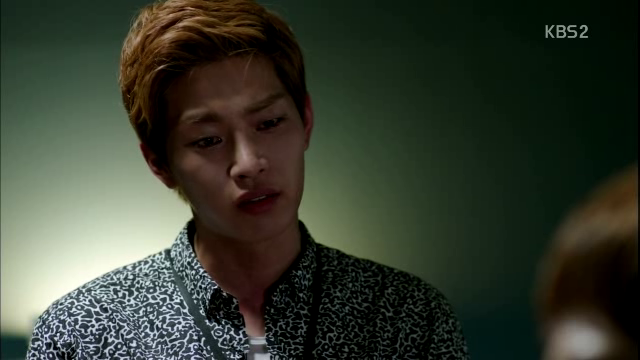 Hyung, I’m sorry, that I couldn’t keep my promise. 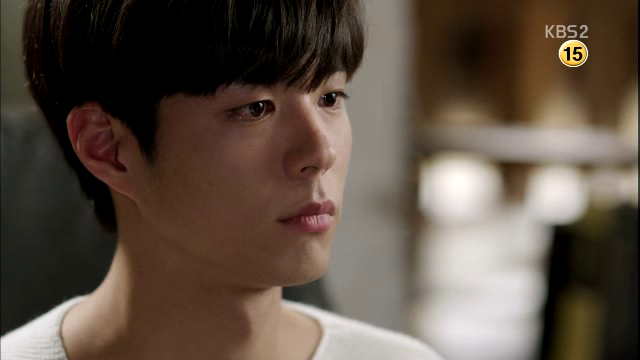 Joon Young asks if Min thinks that there’s something wrong with the both of them. Min replies in the negative, but knows that they are both burdens to his brother. 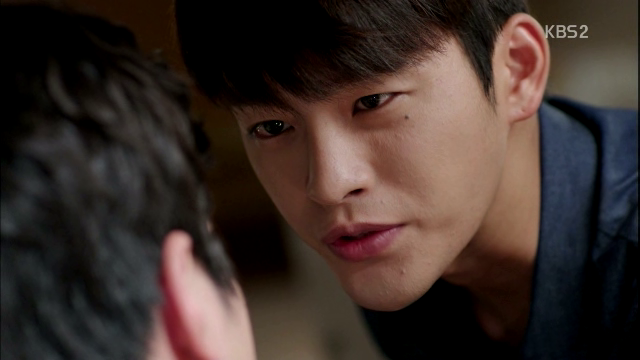 “I told you, the last one will be you, Uncle.” He turns around slowly and suddenly lunges towards Joon Young with the knife. 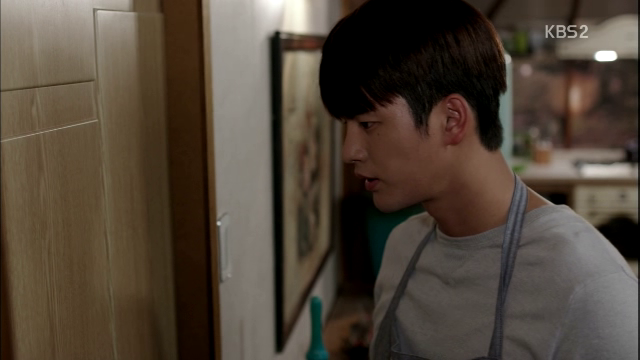 Hyun strips off his apron and dashes out of his house. 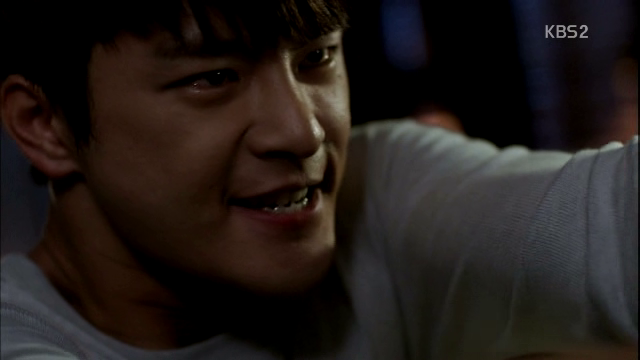 In the mean time, Joon Young very easily defeats Min and stabs him twice. 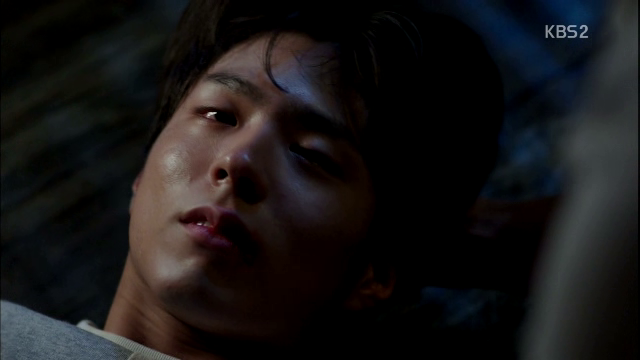 Min collapses on his back, but still conscious. 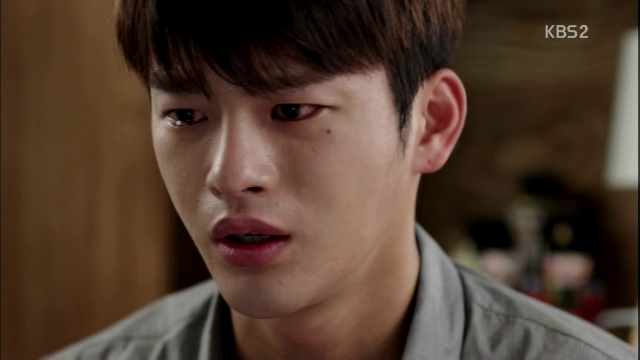 Is it just me, or does Joon Young looks like he got stabbed too? As if stabbing one of his child is akin to stabbing himself? 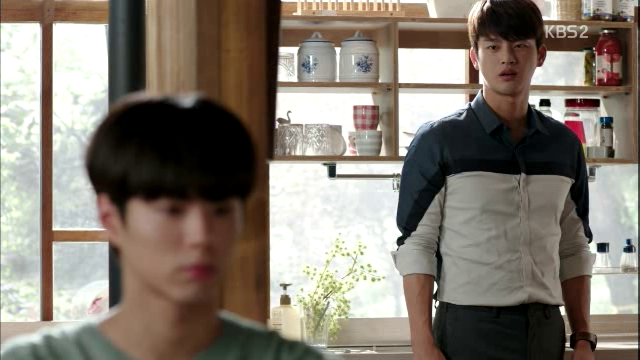 Hyun dashes into the house (do the both of them not lock their houses??) and holds Min’s head. For 20 years, I hated you, I missed you, I waited for you and watched over you. That was the entirety of my 20 years. Hyung was my everything. 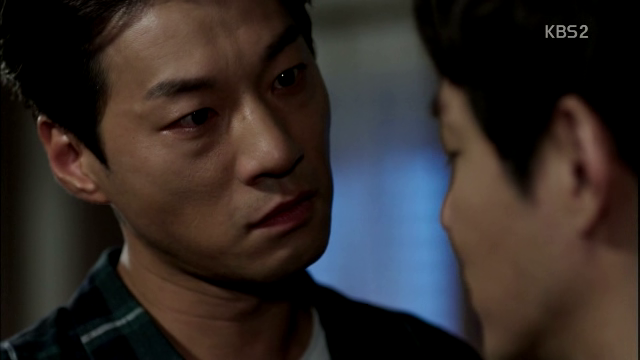 Fuelled by rage, Hyun manages to pin Joon Young to the wall and strangles him. 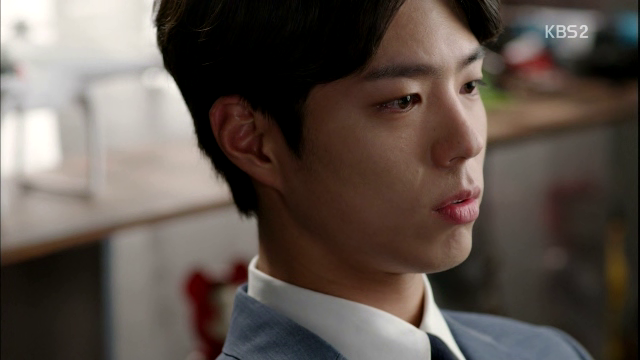 Joon Young looks at Hyun in slight disbelief and holds a hand to Hyun’s throat, but Hyun gets whacked on the head by Joon Young’s Companion. 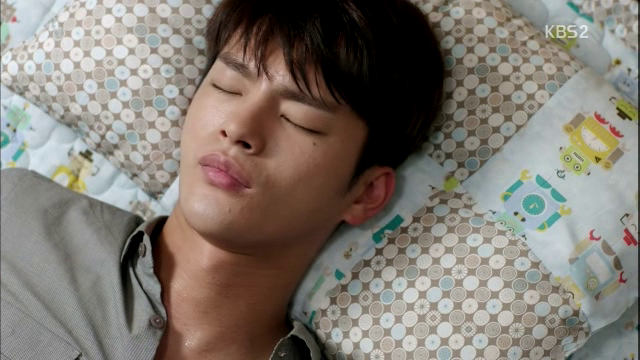 He soon falls unconscious and by the time he wakes up, Companion, Joon Young and Min’s body have disappeared. Somehow, I didn’t cry at all. I just felt like they wouldn’t have let Min died like this. 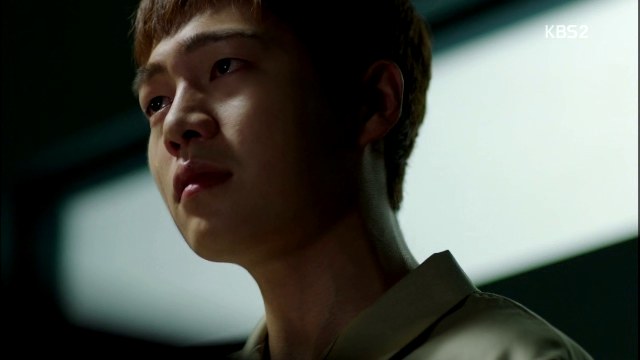 Eun Bok finally confesses, “Lee Joon Ho is…” I’m sorry, Hyung. 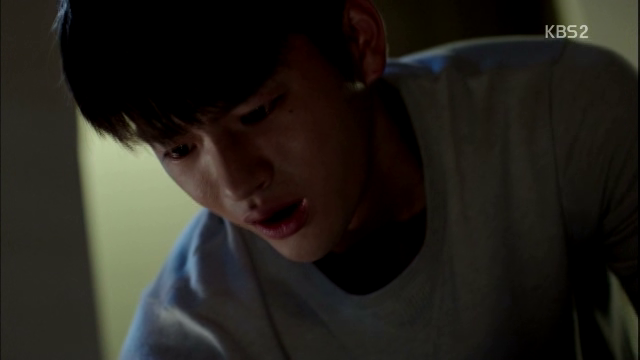 I’m sorry, Hyung…Ahjusshi. 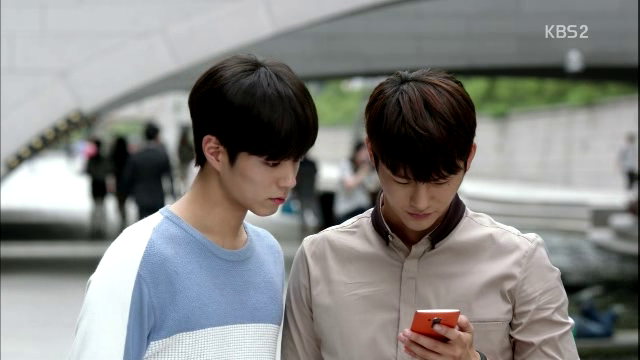 Joon Young turns on his cellphone to contact Hyun. The team that has his phone tracked immediately starts moving once they see the signal. 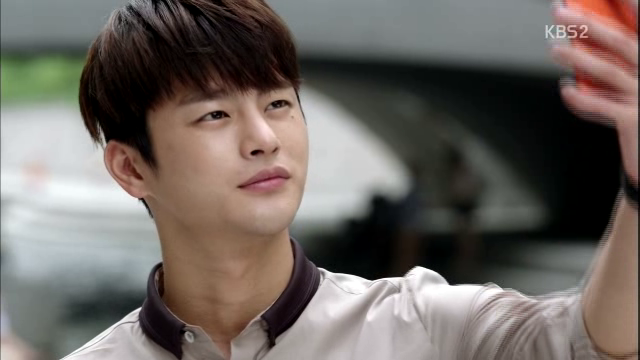 Hyun asks why Joon Young was so obsessed with him from the start. 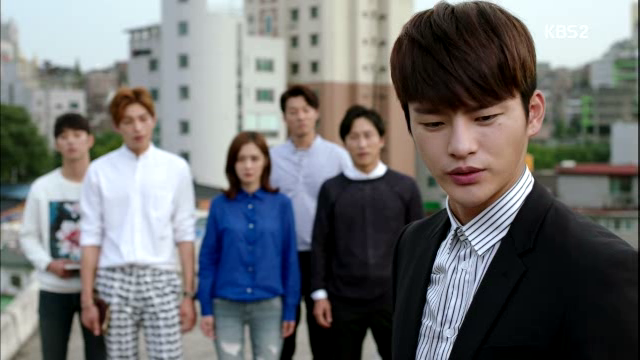 Through the flashback, we see small Hyun observing that Joon Young was someone who was different from the others. Maybe it’s just those simple words, but they were words that he wanted to hear from someone. For the first time in his life, he felt like he was understood by someone, and a small kid at that. 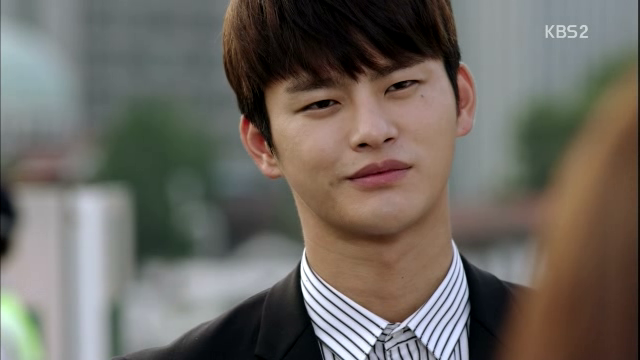 He wonders if he would have lived like Hyun if people understood him earlier. 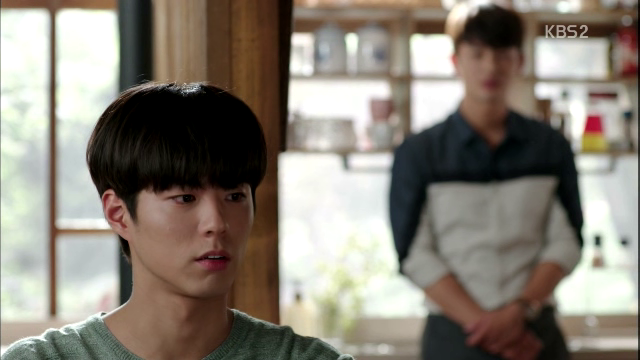 Hyun is the child that he wanted to be, while Min is exactly like him, “Like an alter ego.” Short but on-point observation on his fascination with the brothers. 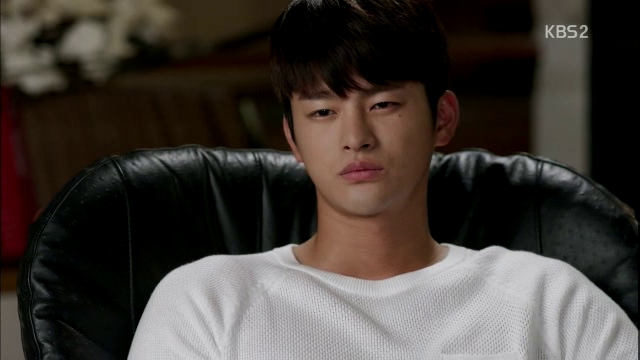 The only reason why Hyun isn’t killing Joon Young is because he wants Min’s body back. 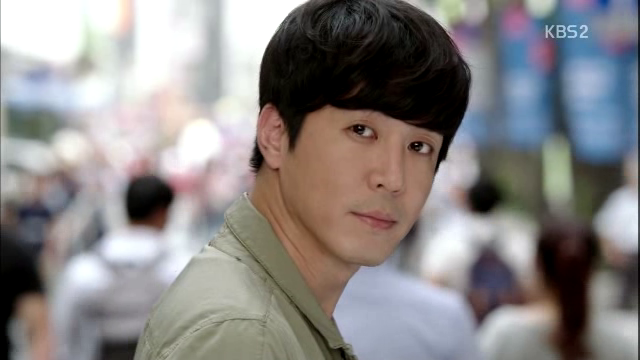 By the time, the police arrives, Joon Young has disappeared. 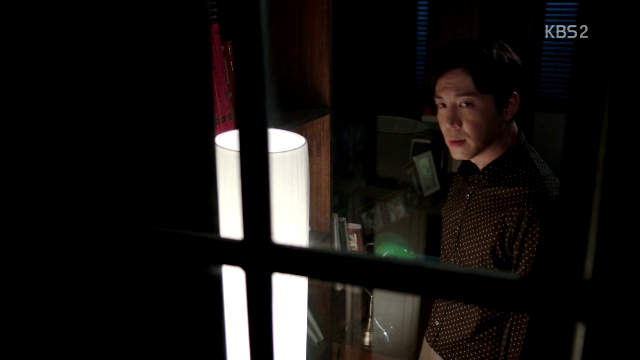 As for Hyun, he pops by Ji Ahn’s house three times, as previously promised. Can anyone even get tired of his smiles?? 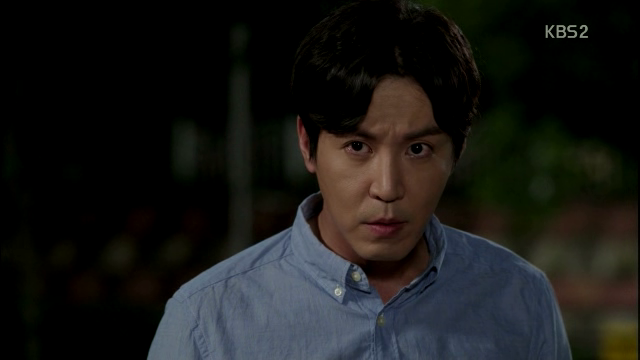 On the last ‘passing by’, Hyun notifies Ji Ahn that he will disappear for a while. A while meaning a year. 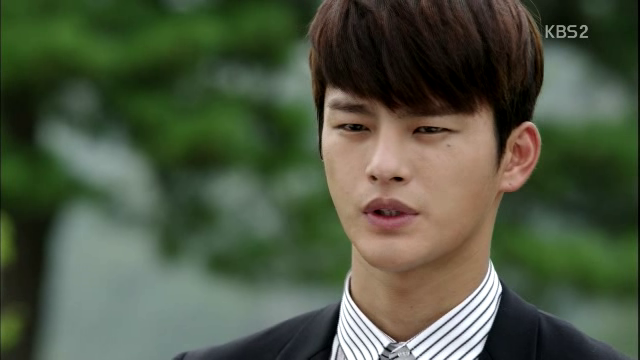 A year later, a rookie takes over Eun Bok’s position and gets bullied. The team stays together because of Kang’s efforts. 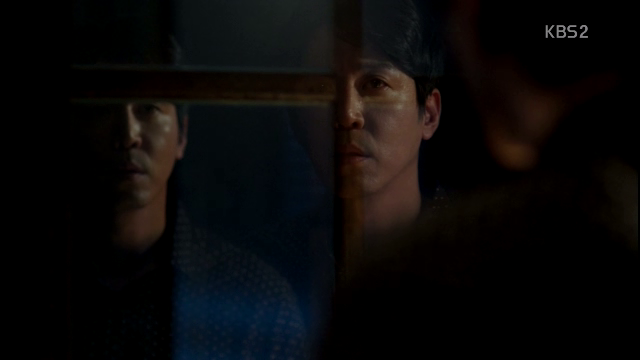 Seung Joo still visits Eun Bok regularly. 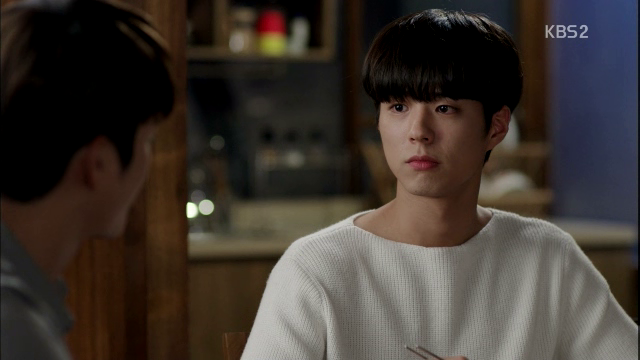 Ji Ahn misses Hyun like crazy and wishes that she had popped by Hyun’s house once more. 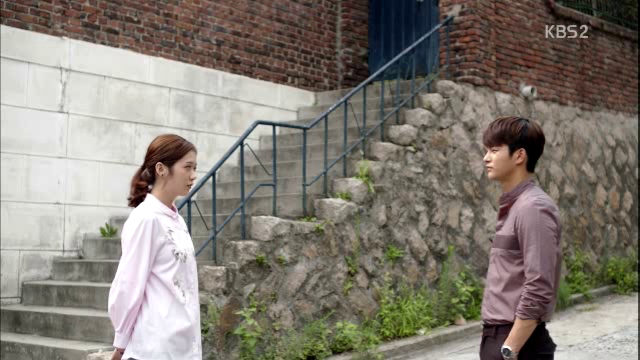 If she did, then Hyun would have to pass by her house three more times before he disappeared. 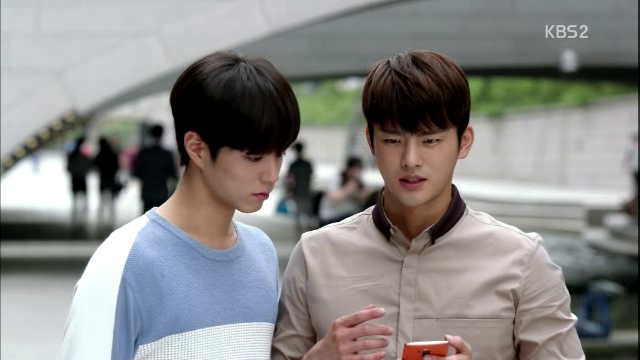 Strangely enough, Resourceful Friend ends up as good friends with Myung Woo and Kang. 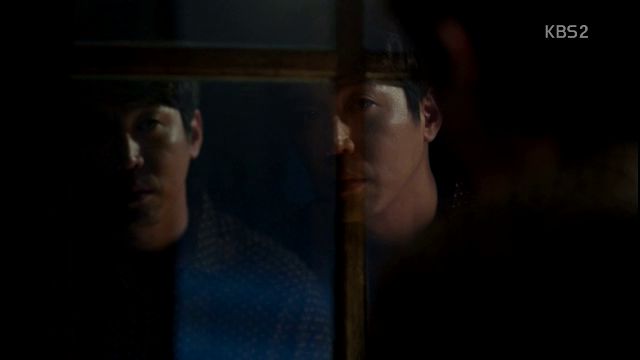 On some days, Ji Ahn feels lonely and places which are familiar become unfamiliar. She narrates over scenes of the couple’s childhood that something good did come out of their situations, because they met each other. 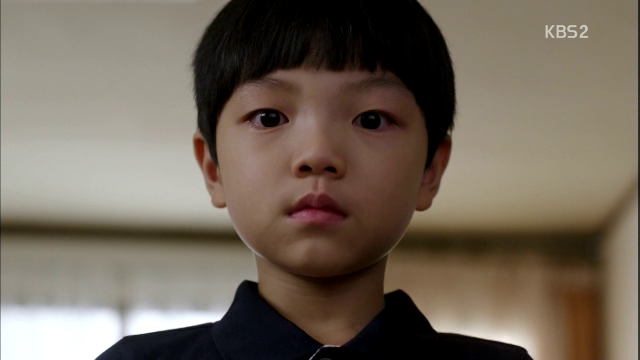 However, in her opinion, even if Joon Young did not kill their fathers, they would still have met. She would have liked him after following him around (guess she’s a born stalker LOL) and next to him, there would have been a pretty looking brother. And we would all have grown up well. For me, you and your brother. Look at how the brothers grin away! And everyone would have gotten along well. A body is found and the team rushes down. In an imitation of the first episode, Hyun stands there and dissects the case. 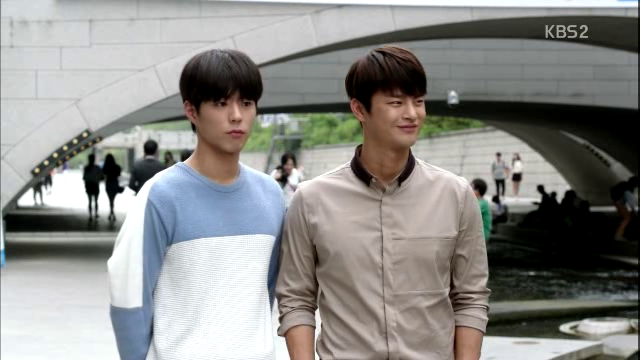 Kang is amused that Hyun is still a rude jerk. 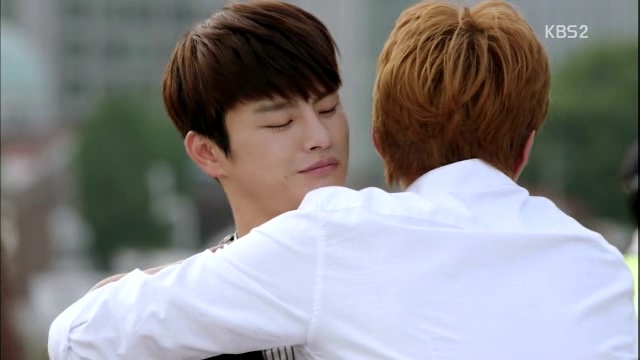 Seung Joo rushes up and hugs Hyun, who pretends that he’s irritated by the hug. 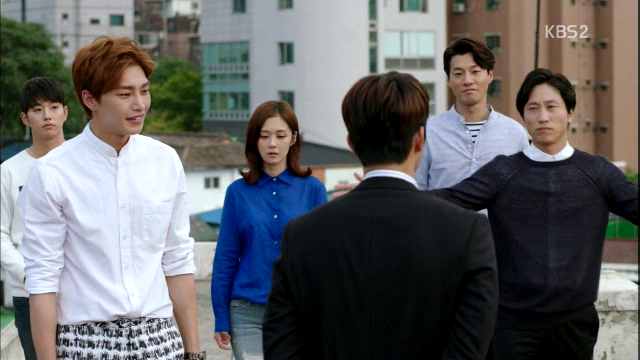 Myung Woo opens his arms for a hug but gets insulted, “You’ve aged in that short a time, haven’t you?” HAHA. 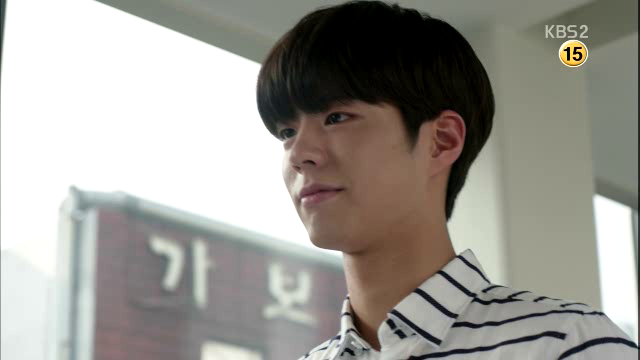 Hyun smiles at Ji Ahn, who gives him a death glare, like don’t you dare think that you can get out of this with your mesmerising smile. 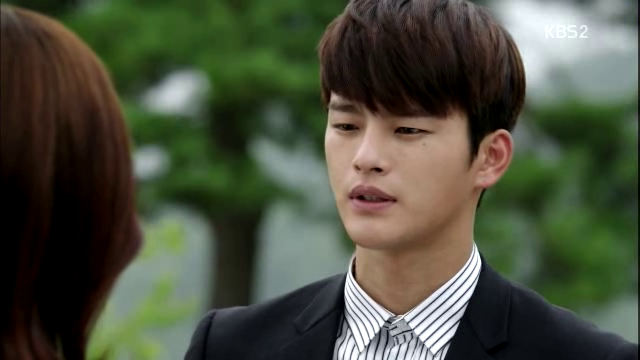 Min is alive and kicking, and Companion informs him that his brother just left. 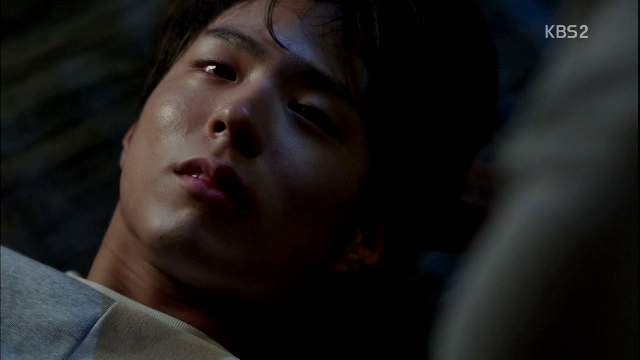 Through a flashback, we see how thankful Hyun was, knowing that Min is alive. 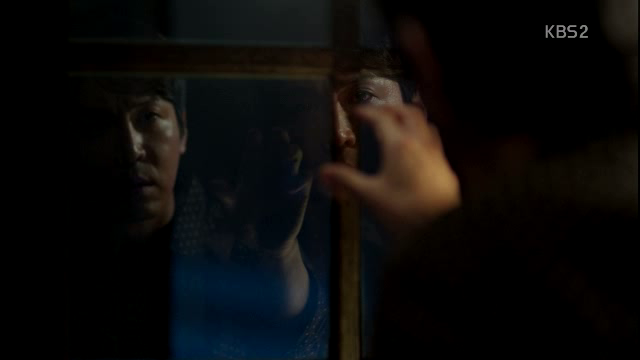 Companion passes Min an envelope – it contains his new identity. 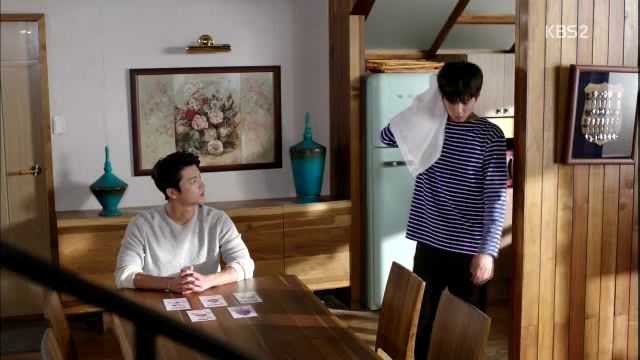 Min knows that Joon Young is asking him to choose as to how he wants to live his life. 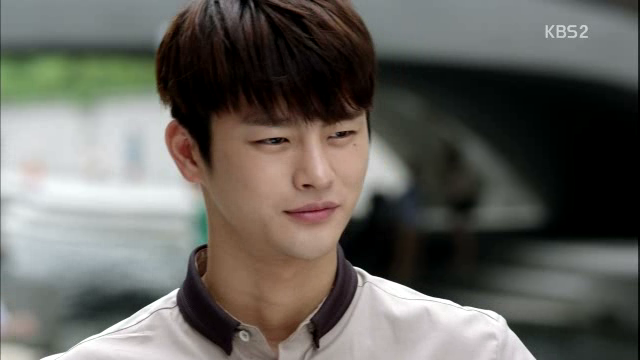 To pay for what I should pay for and live as my Hyung’s brother, or live like you and hide in the world. 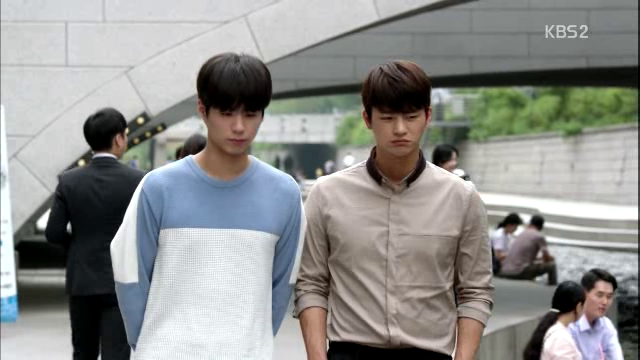 Ji Ahn and Hyun take a walk and she grumbles that she wants to beat him up. 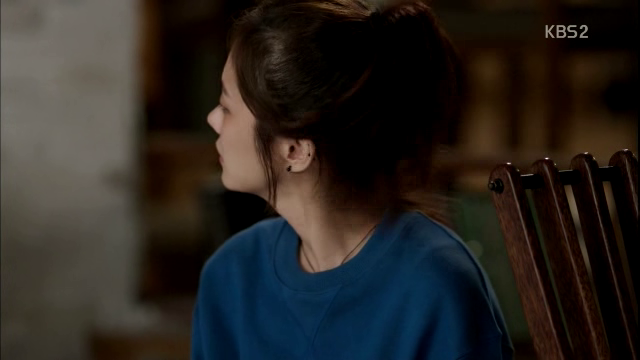 She knows that Hyun will not tell her where he went for the past year but notes that Hyun was NOT chasing Joon Young in the year that passed (since he says, “I will chase after him” instead of “I have been chasing after him”). 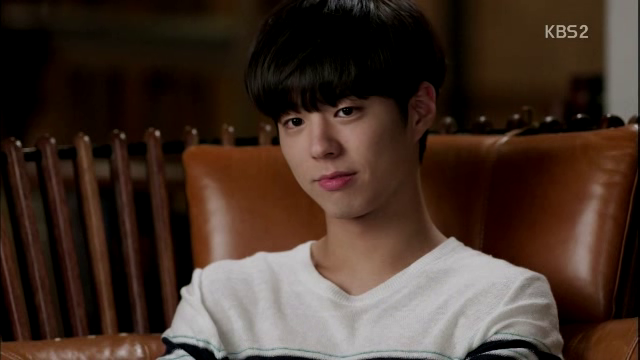 Hyun remembers something that Joon Young told him when he was young – You can become as you wish. You can become a person like me, or completely opposite of me. There isn’t just a door. You can leave by the front or the back door. 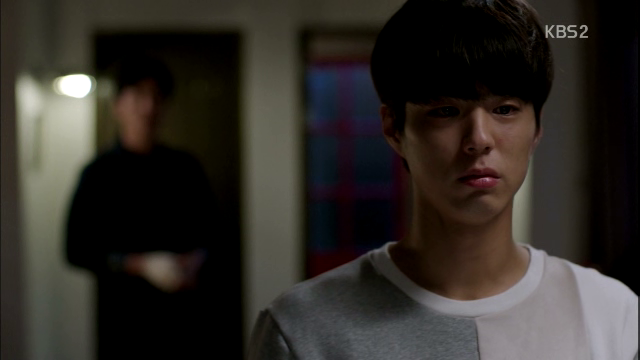 Essentially, telling Hyun that there’s always a choice? 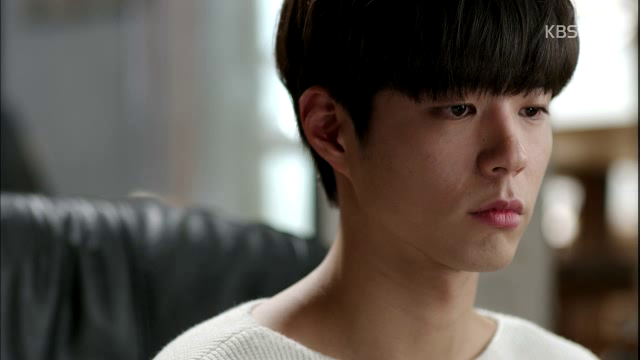 Hyun thinks to himself that even though he pities Joon Young a little, he will never understand him or forgive him. 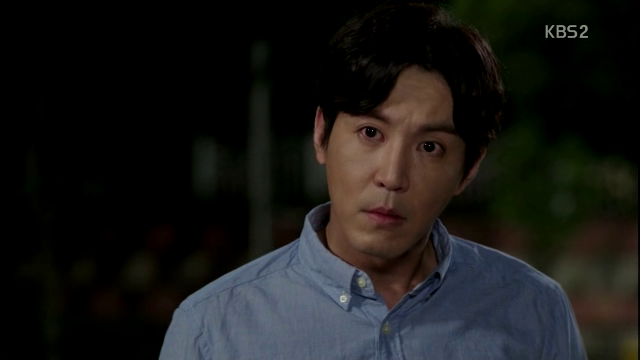 Ji Ahn says begrudgingly that if Hyun is going to disappear again, then he should just leave right there and then. He steps forward and hugs her. 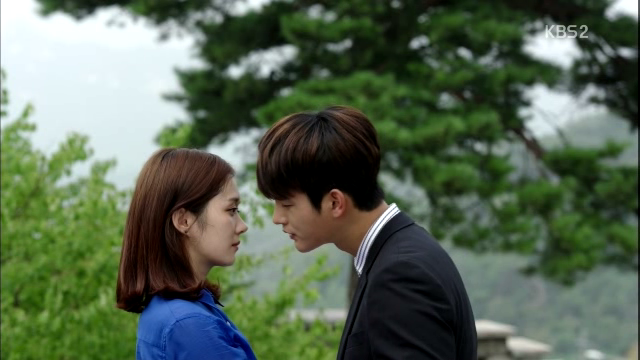 Then, he takes a step back and tucks her hair behind her ear. Love that classic move. He slowly leans in and kisses her. Ji Ahn smiles and he touches her face this time. Min looks at the envelope and leaves it behind on the bed, leaving the hospital with a smile. Open ending as to which choice he picks? Or does leaving the envelope behind show that he’s going to face his mistakes? 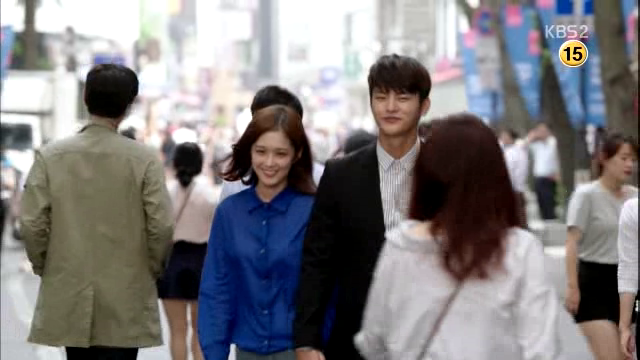 Joon Young walks past Hyun and Ji Ahn. Now I’m going to disappear. And you are going to chase me. Don’t give up and find me. 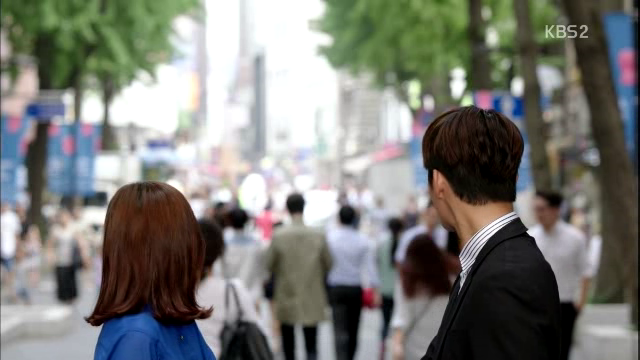 I thought Hyun didn’t see Joon Young, but he turns around and stares at his back. Don’t worry, where ever you hide, I’ll most certainly find you. Needless to say, I’VE GONE WAY OVERBOARD WITH THE NUMBER OF SCREENSHOTS. STOP ME AND MY BUTTONS. Actually, now that I’ve watched the episode again for the recap, it isn’t actually that open an ending. It just leaves enough details unanswered so that we can imagine what happens next, but we know what’s going to happen eventually. 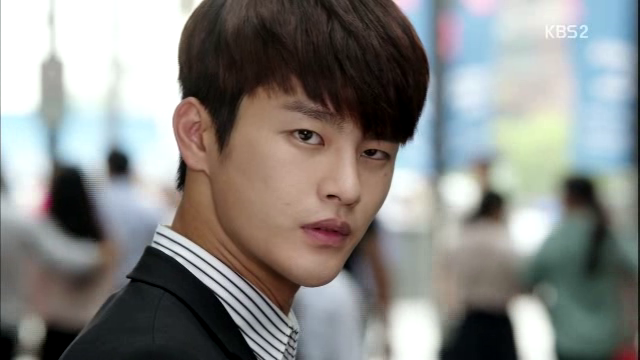 Hyun is going to find Joon Young and whether Joon Young dies, or goes to jail, he wants Hyun to find him. I see Min leaving the hospital with a smile and leaving the envelope behind as an indication that he has decided not to assume his fake/new identity. 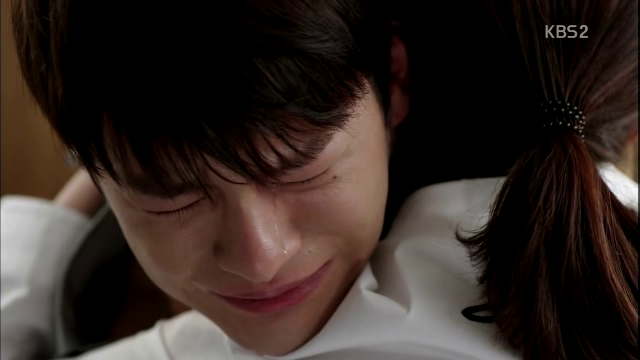 This means that he is going to live as his Hyung’s brother. On that note, I’m so glad that Min didn’t die?? I really loved his little monologue of how his brother was his everything. That was already so bittersweet and would have been incredibly heartbreaking if Min really died. 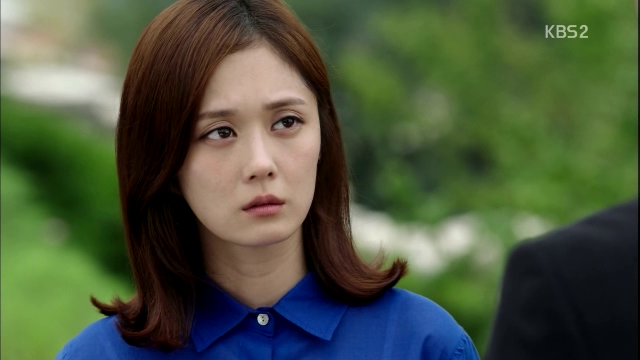 As you probably can tell, I don’t particularly like Ji Ahn as a female character. Call me superficial, but I like my female characters strong and smart. For e.g, Kim Nana in City Hunter remains one of my top favourite female leads. 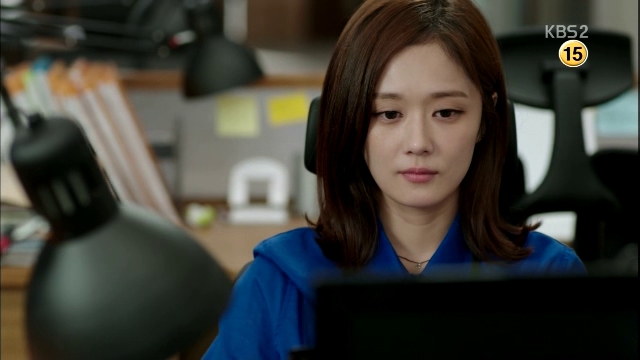 Actually, Chae Young Sin in Healer too hahaha. It’s definitely just my opinion, so I hope I don’t offend anyone with this – but I admire logical thinking, consideration, great fighting skills, a tight tear tap (Jo Yang Sun in Scholar Who Walks The Night is a no-no) amongst other things. While Ji Ahn displays great fighting skills and is strong-willed, she constantly throws herself into dangerous situations. 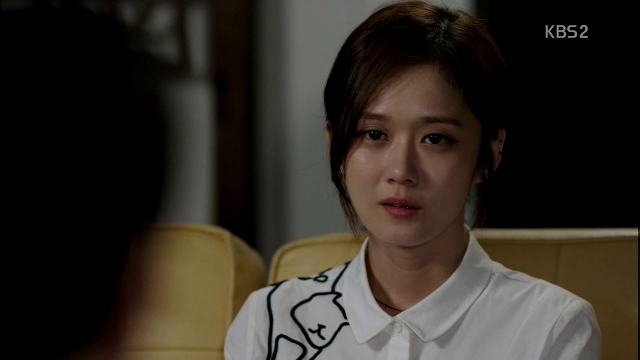 What she says to Joon Young only confirms my suspicion that she does it largely because she knows Hyun will save her. Isn’t that kind of selfish? That being said, I do like the couple a lot. Like, a lot. I think they did well, despite the age-gap and the chemistry was great. I love that mini-fantasy at the end because it was so poignant. 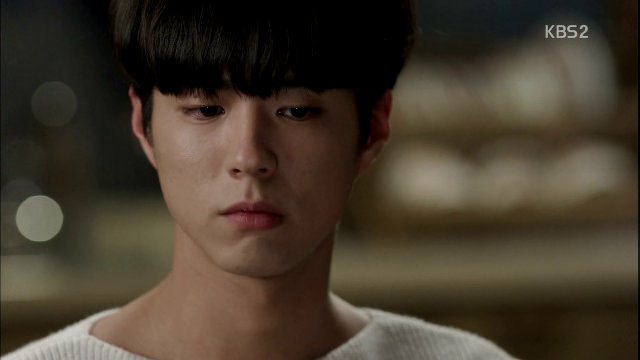 It’s the dream that they can never have, because of Lee Joon Young. 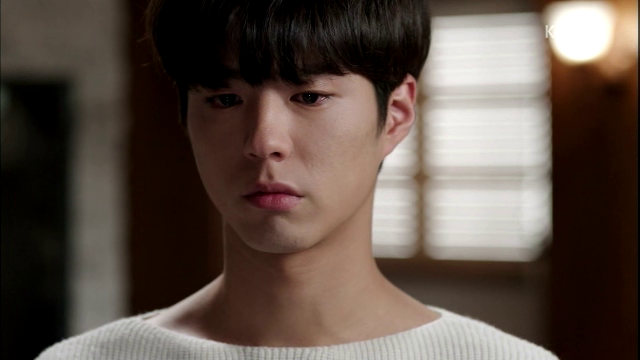 As a central character, Lee Joon Young pulls in all the narrative threads and holds them tightly. This gives the show added layers and complexities, such that I don’t think I can finish dissecting everything even if I want to. I love how the two brothers are diametrically opposed to each other, but still love the other one so much. Shows how the two sides can accept each other, grow together and reconcile. They don’t have to be torn apart and separated, unlike what Joon Young thought. There’s always a choice as to who you want to be. I’m going to end off my recap by talking about my favourite relationships. 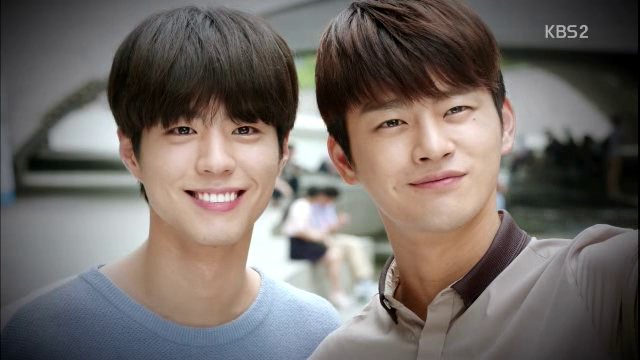 Seo In Guk and Park Bo Gum make such a lovely pair of brothers! Great looks, acting and chemistry. 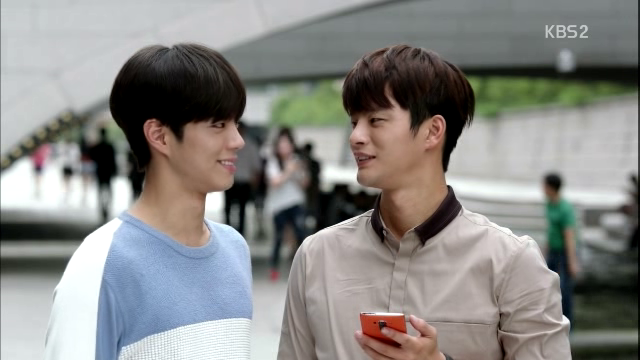 I have this feeling that they really enjoy acting with each other and rubbing off each other’s stellar performance! 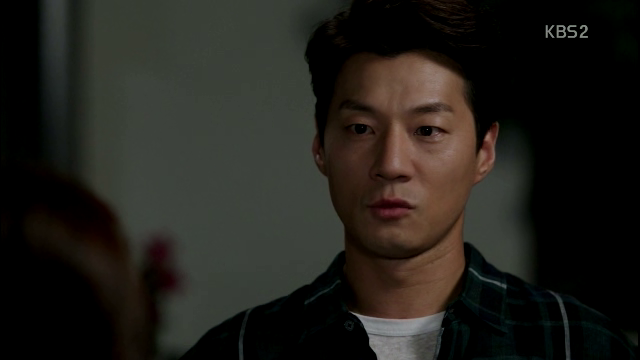 HyunMin breaks my heart all the time but scriptwriters offer small band-aids occasionally. This pair of brothers has it difficult – even just them smiling make me happy because we all remember how much they have gone through. Their relationship emphasises on the small joys of our lives and is so filled with love that it’s going to be a pretty memorable bromance. Aint nobody going to forget HyunMin any time soon! I really, really like that ending scene. It has a sense of finality, but at the same time, manages to leaving the ending hanging. A very special kind of closure! 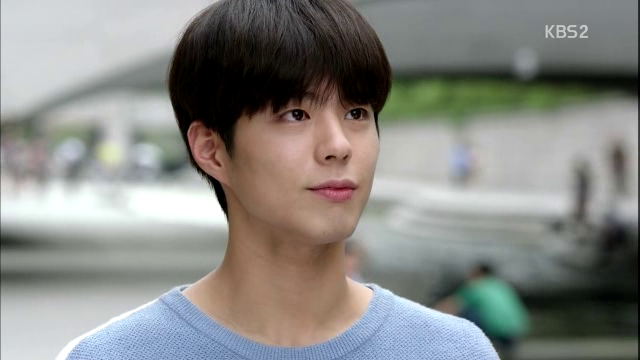 I like it the way they arranged the individual shots of Ji Ahn and Hyun looking at Joon Young with determination in their eyes, and then moving off as a couple after that. This show is going to give me bad drama blues:( but I’m lucky to have joined you guys in this journey!! It has been a great time(: Till the next, hope you guys take care! Ji-An, doing what Min’s eomma would have said to him, “…think of doing this for your kyung, if you run from it, your hyung must run with you to protect you… he have to hide with you. Having say this pains my heart terribly, but if that happens, neither you or hyung can be happy.” But many anti-fans focus on the point which she later said regarding her can’t ignore and will continually investigate the case, and hyung will have it very difficult being in the middle, so rise up some who protest that if she rest the case, then Hyeon won’t be torn in between, claiming why must she said that to Min… jin-jja, really? 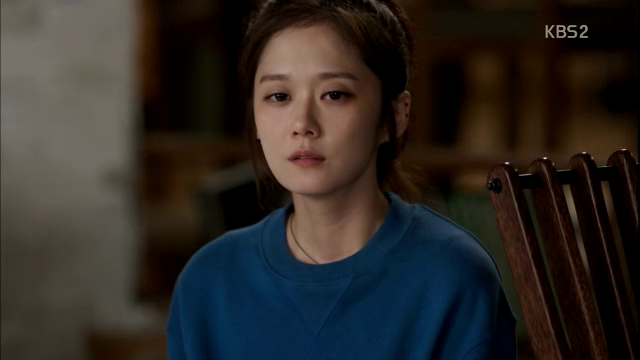 When its pained Hyeon’s heart, it pained hers too, cuffing Min in the future will be such a day, she clearly knows what Hyeon desires, what Hyeon needs to do, what hurt Hyeon, and what she didn’t like to do but must do. Brave Ji-An. Hyeon has this inbuilt compass in his heart, when he was a child he by his own will, entered into a church and prayed often, implying that he believe God’s presence, and that this Creator will judge him or anyone one day. This conscience has been guiding him to feed the Good wolf inside him all these good 20 years. So this conscience will make him miserable if he covered up Min’s crimes even if Ji-An will not pursue the case. Even if she ignores it, the rest of the Team will continue to investigate the case, it will not be a cold case shelved. So did some who wrote in other sites that they find her annoying and reckless in venturing into LJY house twice, once to dig into the secret room, the second as a death-wish to challenge LJY “taking for granted that Hyeon will save her”. I beg to differ in opinion, that by end of ep 16, everyone knows that without the fingerprint n any DNA samples, photos (which was supposed to be burnt up in the fire), and without solid witness, no one can really cuff him up. So the only way is to dig into his lair… and tempt him to leak on himself (using her “secret recording on mobile).. I don’t really think she, being very clear that in Hyeon’s heart she is “IMPOSSIBLE to calculate IN NUMBER” (plus alpha is like unto beyond 100% infinite), how will she ever think of throwing herself in danger and expecting the prince to fight the dragon. Don’t we remember she is a cop, she single handed fight the psycho who kidnapped her, remember? She saved Min by fired at the guy who stabbed Min. 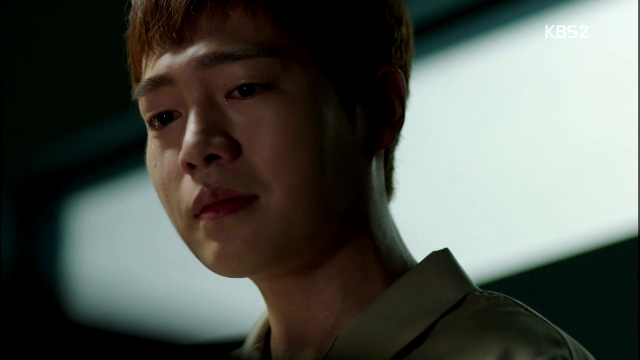 even when Hyun was in his weary state, it was always Ji-an’s words or action that brought a smile to his face…. 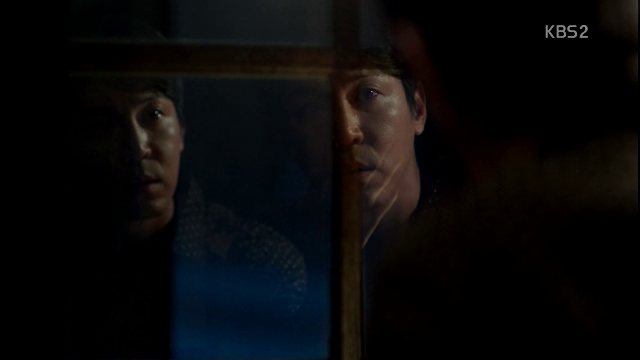 remember that scene when he brought ji-an to his underground bunker to listen to Doc Death’s tapes? 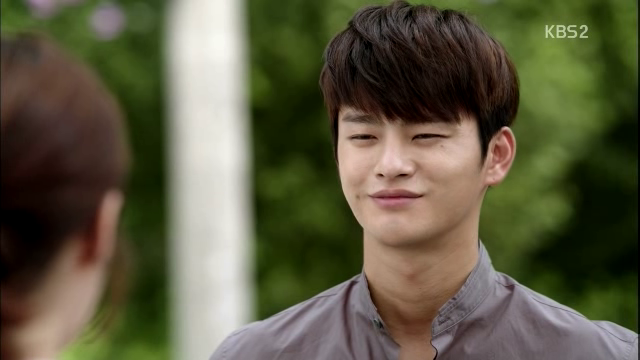 only Ji-An and her “silly” rantings can bring that smile to his face. .. another incident when Ji-an recited all the events regarding his past returns back Korea, he smiles in acknowledgement and gratitude to her, the depth and length she spend in trying to know him. He knew, no one except her, did so much for him, without ever wanting anything back from him. 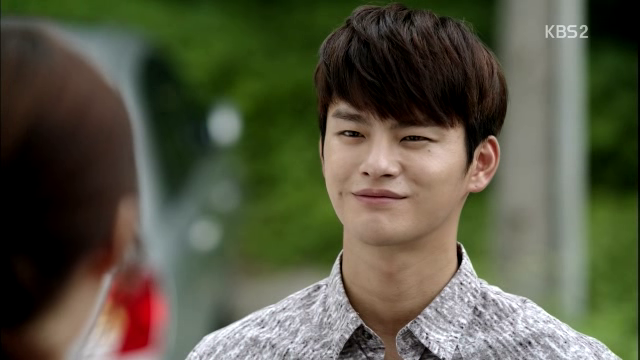 This Ji-an and that Oh Ji-An (of Healer) is two sides of a coin, a Special Collection Gem of a Coin, outshine many hunks in K-dramas even. 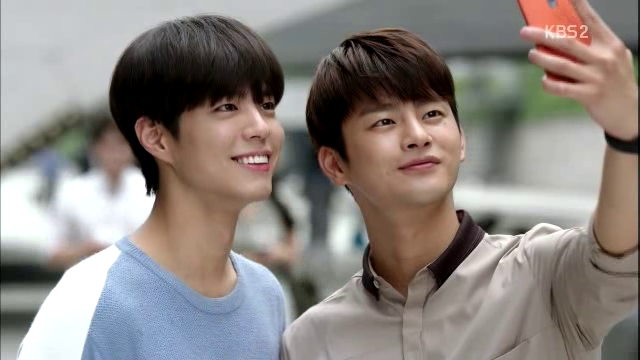 Park bo gum & Seo in guk should’ve been up front in the promotion pictures, i hate the picture KBS kept using as main one , it has absolutely nothing to do with the plot and does not remind me of the drama AT ALL. misleading af. 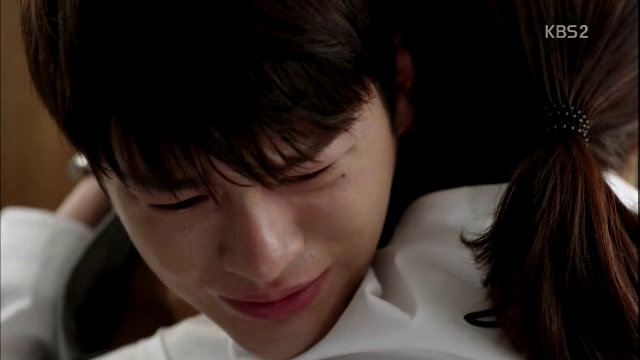 the main story that shone best, made ppl cry and laugh was PBG/SIG’s brother love story. 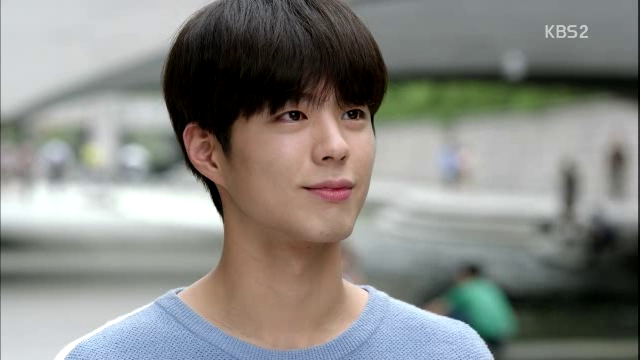 If KBS would have done a better job pre-promoting it , it could have gotten more tv ratings, as time will pass people will watch this drama because of SeoIG and Park BoGum, they were the highlight, they stole the show. Great epic combo KBS did there, that, I applause it. 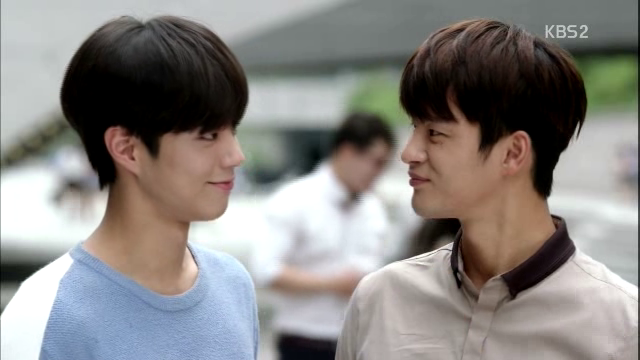 ofc, ChoiWY/LeeJoonYoung was as main as these two. some Lee gang. Hi Halliwell! (: Thank you for your informative comment; I never knew that! 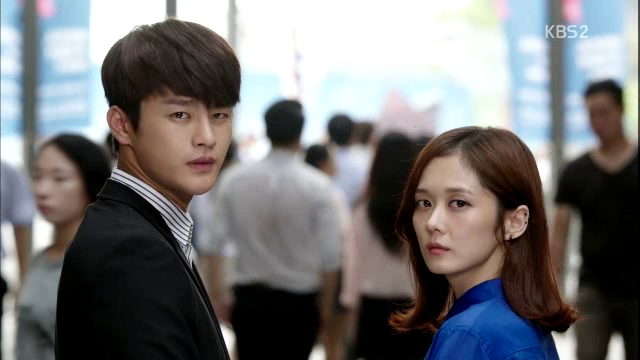 Well I did read comments that people thought Jang Nara was too old for Seo In Guk, but to consistently hate on the drama for that reason is a little superficial given that they had great chemistry. In any case, they achieved success online so all’s good! 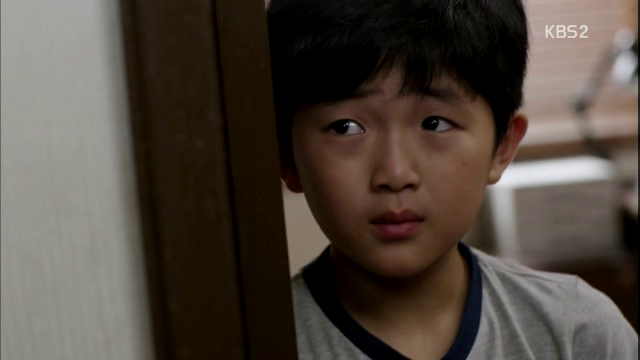 Agree with you on the Lee Gang – they carried the show and rightfully so, since the show’s called Remember Me. Is anybody realise the reason Min defeated easily when he go for kill LJY is because he just recovery from the first stab. 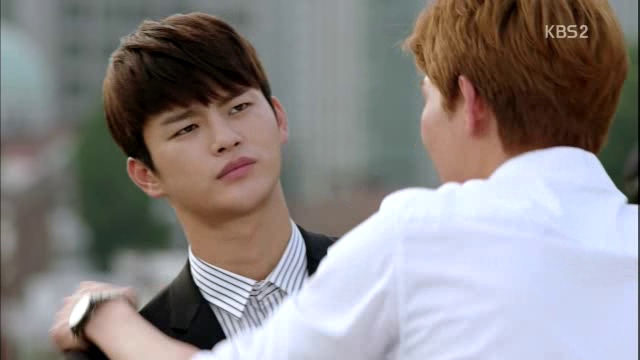 And LJY intentionally hit him just at his wound, when Min grab him from behind. 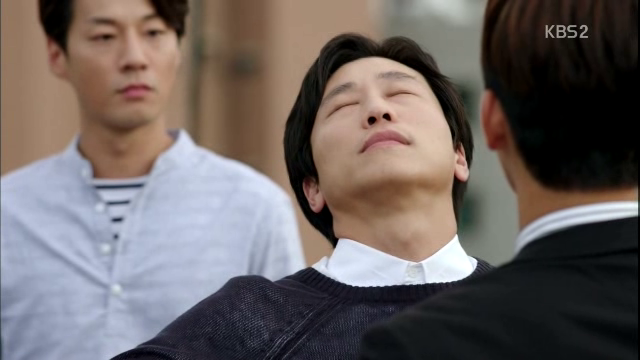 It is a small detail, but i like they (the writer) not forget to that fact, when sometimes in other drama they make someone got stab and almost die, but then they miraculously healed in few days (Bad Guys). 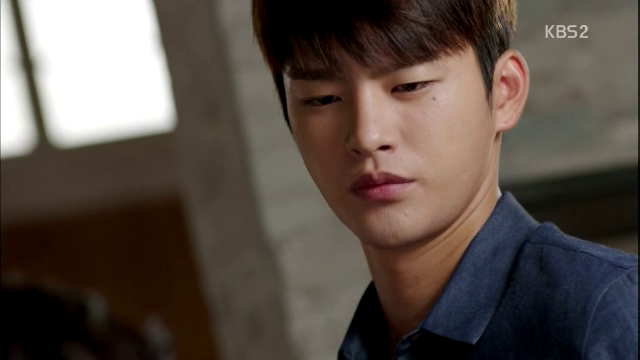 In episode 15 Hyun still nagging about he go to work while he still recovery and to remember take his medicine. 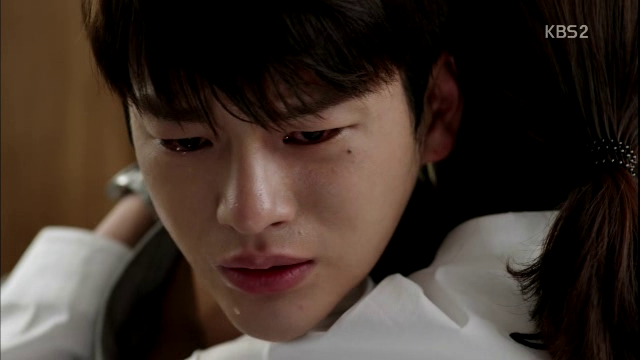 So it’s also fresh in my mind when Min go to killing LJY, i worry in my heart,” ..but he just recovery from the stab..!”. 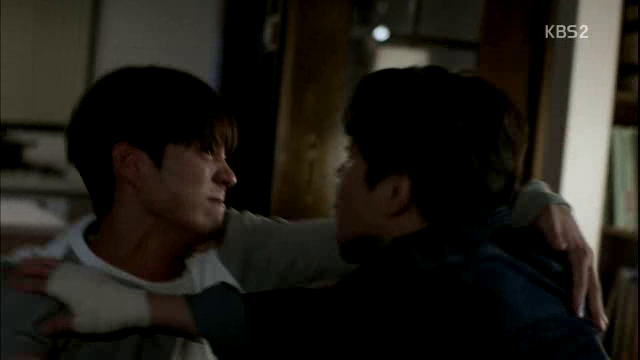 And then i see it coming, LJY hit him right in that place..T__T . 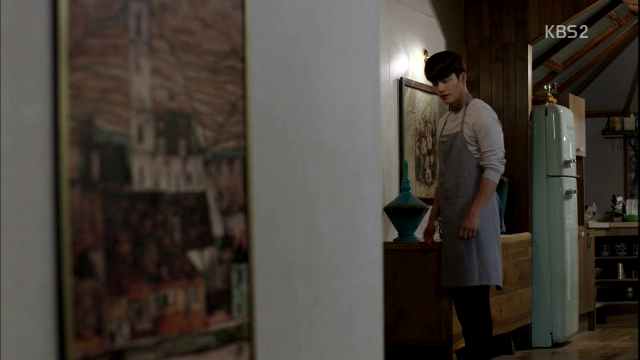 Min look really hurt (physically) that time, when he keep try to reach the knive. Hi there! GREAT OBSERVATION((: I didn’t really notice that. To me, Min’s look of betrayal was because Lee Joon Young stabbed him twice. I really think part of Min’s intention is indeed die with LJY in this last attack. He know LJY is strong, and his change of success in killing LJY is thin. But he is hopeless, he can’t find better solution for his brother than remove every burden from him, it’s mean remove himself and LJY, and beside that he is twisted. But Hyun and Min when they still a child, is not like that. They more mature, even when Min said that their father took hyung away from him, he’s not throw a tantrum or screaming or angry, he more to sad and sit silently in front of the locked door. 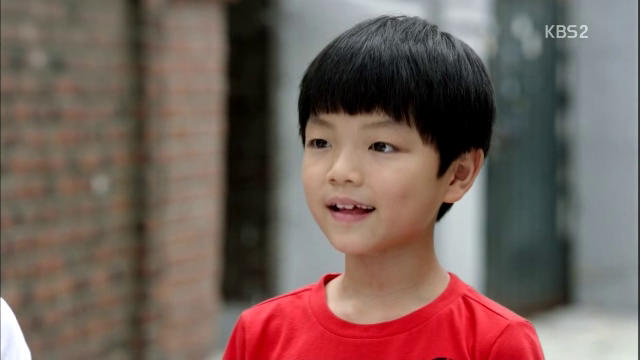 Little Hyun also showed calm and mature, full of love for his family if i can say. Psychopath child what i read is selfish and just thinking about themself and hard to love another person, in relationship they tend to more think for their benefit. (Noted i read about it that the child grow in lovely family, the boy even hate his siblings). 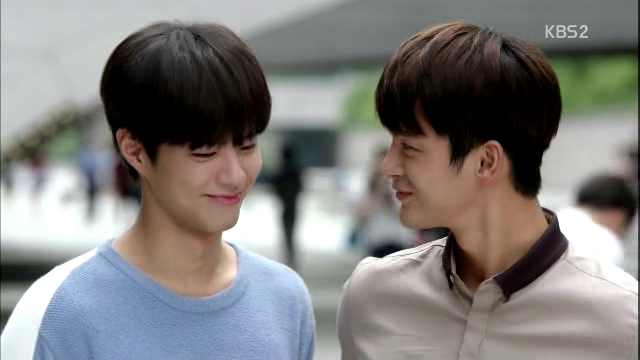 Hyun and Min’s affection to each other when they small is showed they not have psychopath tendency, they off course not normal, but not psychopath. Even when Min try to approach Hyun several times but Hyun not recognize him, he hold himself quite well to not go crazy and kill everybody around Hyun, he just curious and watching Hyun from a far. 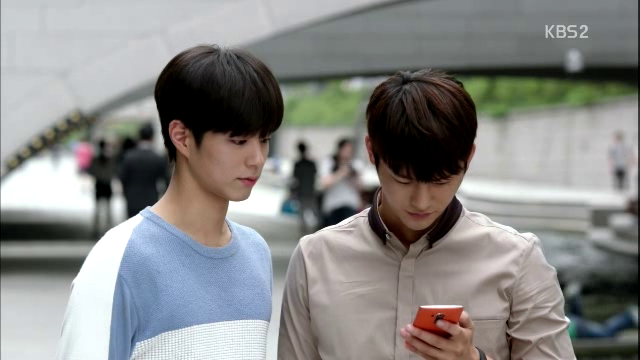 And if I can say it clear, Min is playing game “Remember Me”, is just his cover for his fear of rejection if he come straight to Hyun, but maybe Min himself will not acknowledge it. 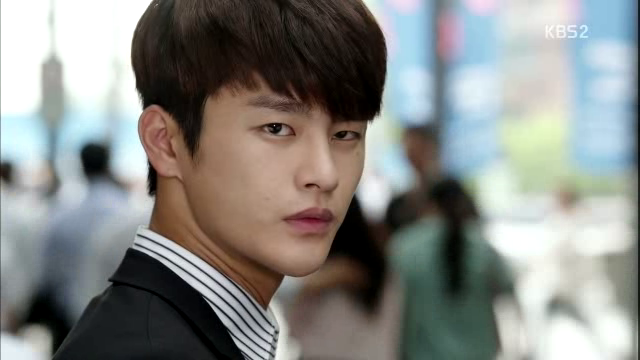 His confident, menacing stare and glare to everybody is just his way to protect himself. 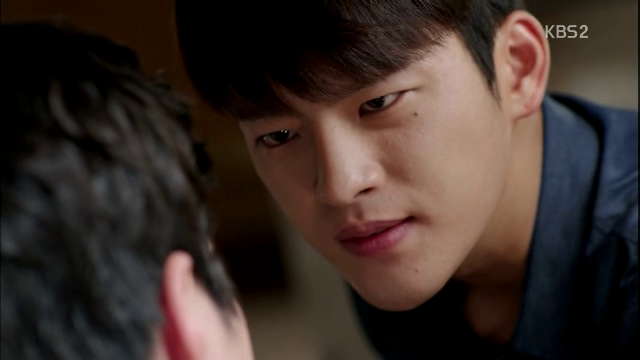 Noted, Min’s way to do his killing and manipulation is very simmiliar with LJY’s method. Min’s clothe when he going to kill some one, his method to cover his crime by make the body dissapear, all same with LJY’s method. 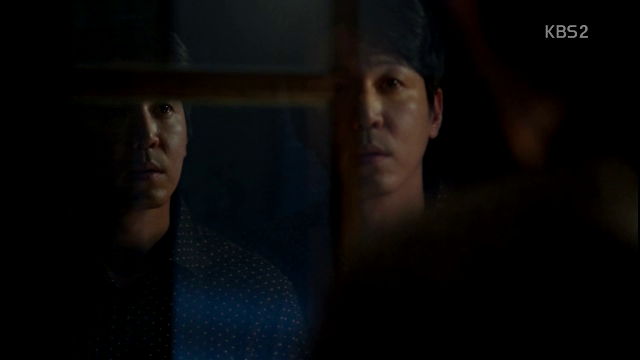 When Min organize the attack to Ji An by using director Yang’s (the first killer) revenge motive, he do it to get Ji An’s acceptence. 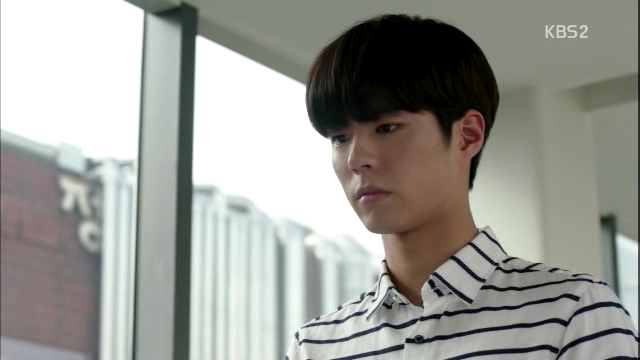 It’s just the same with LJY use Joo Woo Young’s revenge (the mafia who want to kill Hyun’s cherised person), by give Min’s identity to Joo Woo Young to see how much Hyun care about Min. It’s proved that what Min become now is all influenced by LJY. It’s nutured not nature. Ok, correcting my previous comment, pshycopath child is can appear good and calm and mature, but it’s all an act to get them out of trouble, not a genuine love. 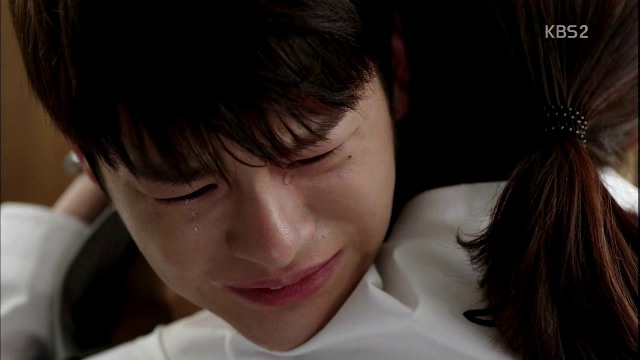 But in this drama, the writer show us that Hyun and Min can feel genuine and deep love for their family to the level they would sacrifice them self to protect the other.